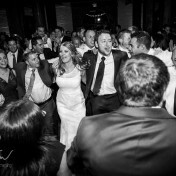 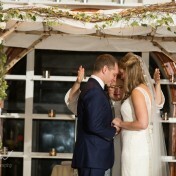 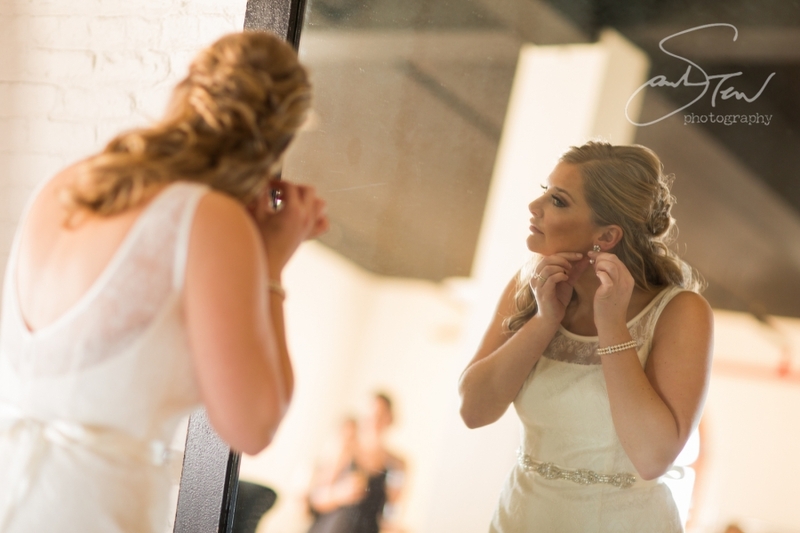 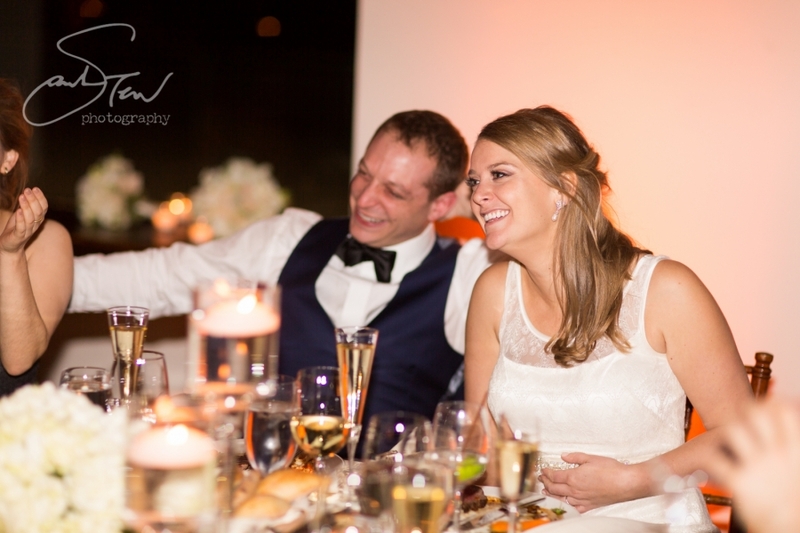 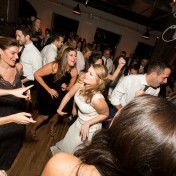 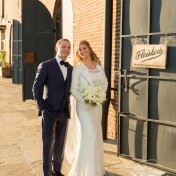 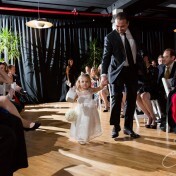 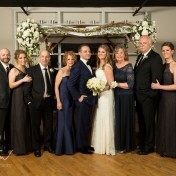 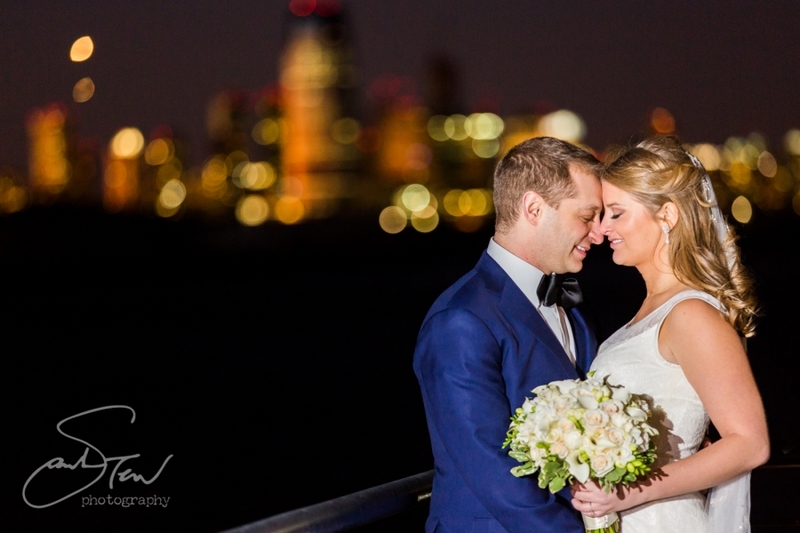 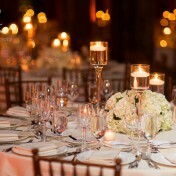 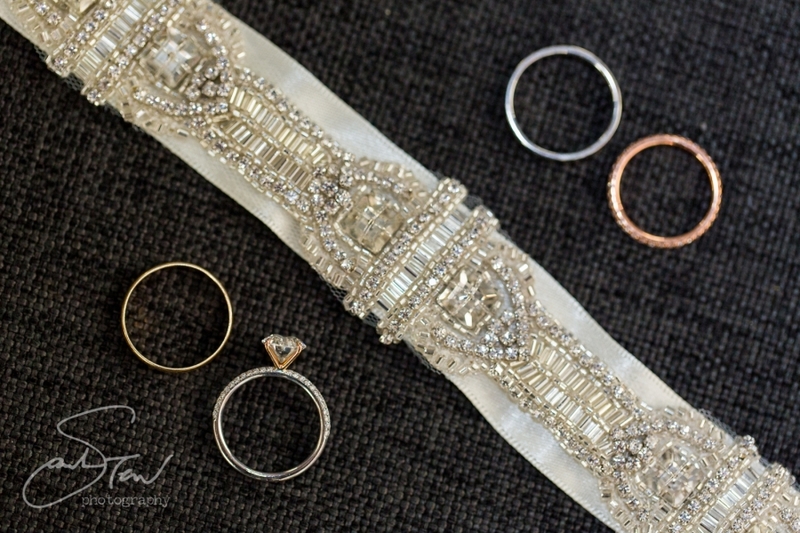 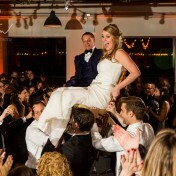 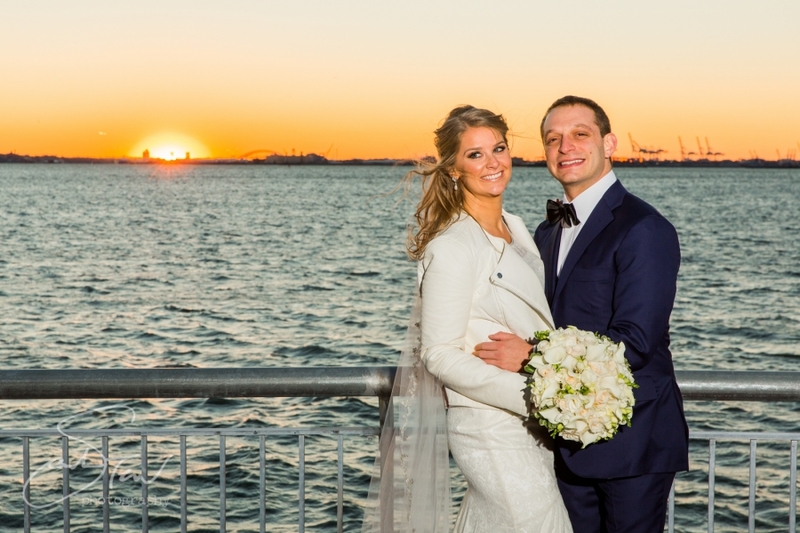 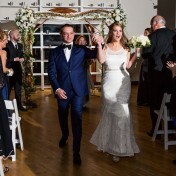 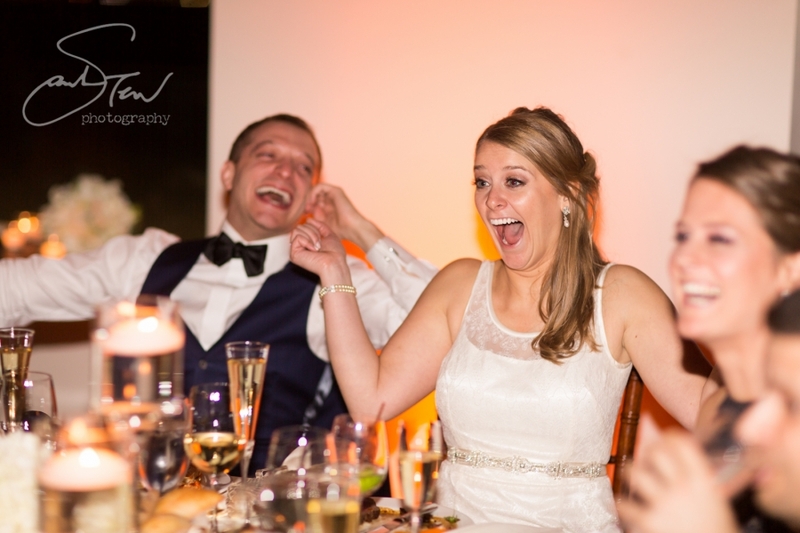 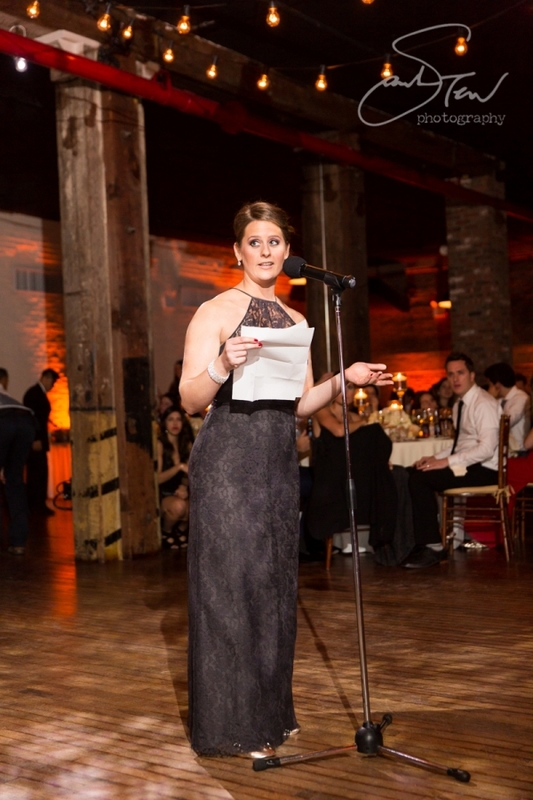 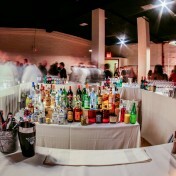 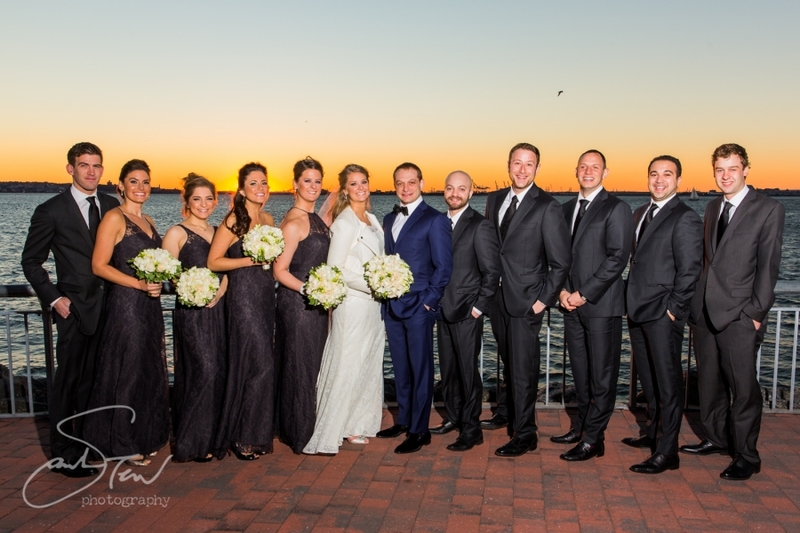 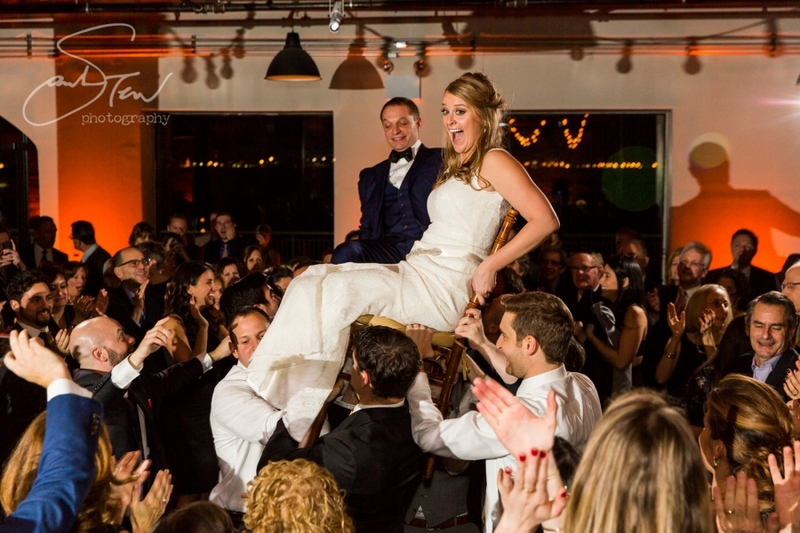 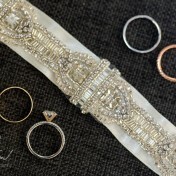 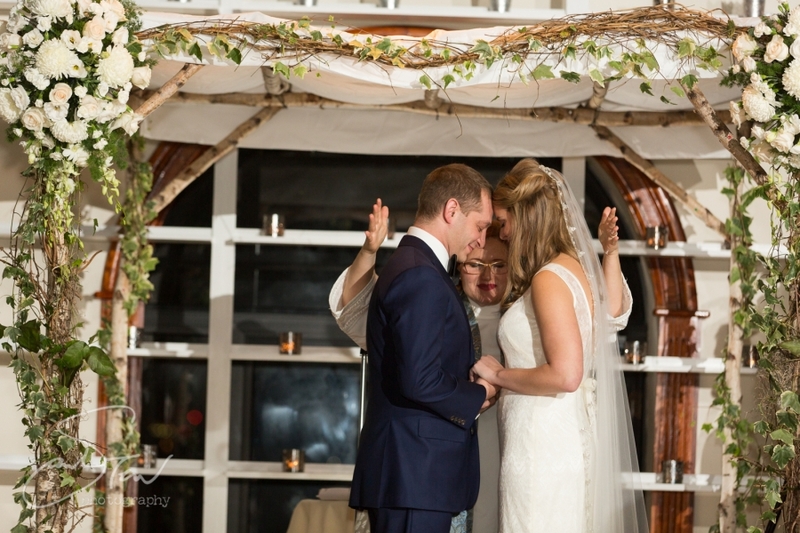 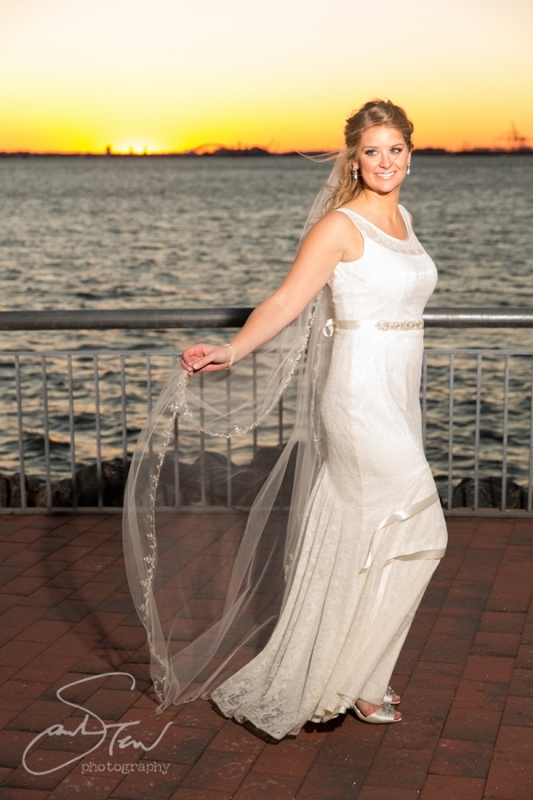 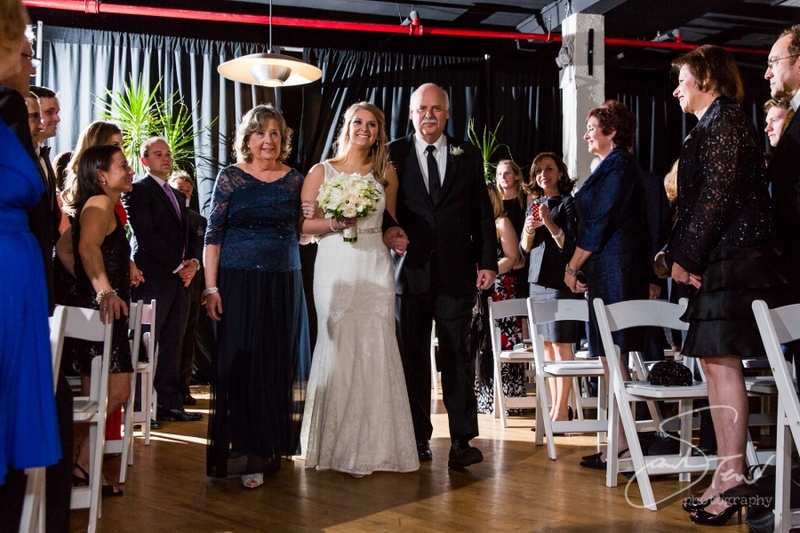 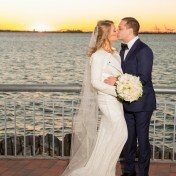 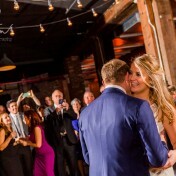 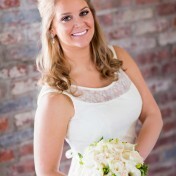 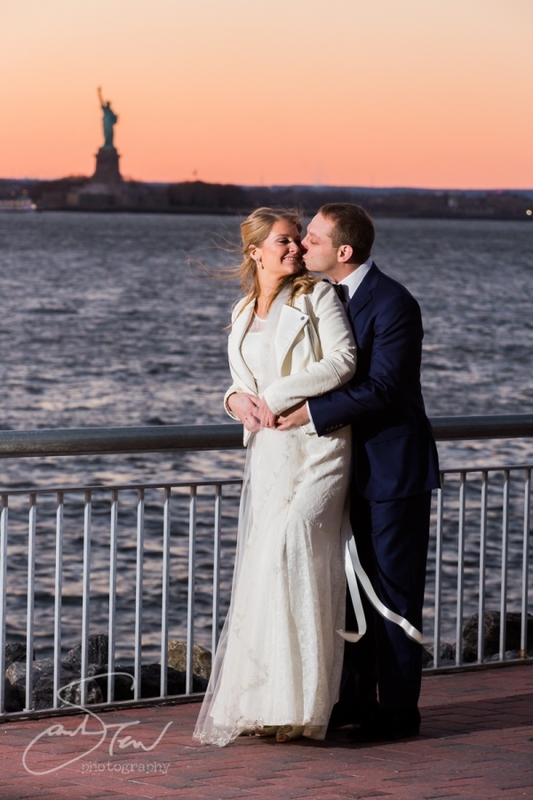 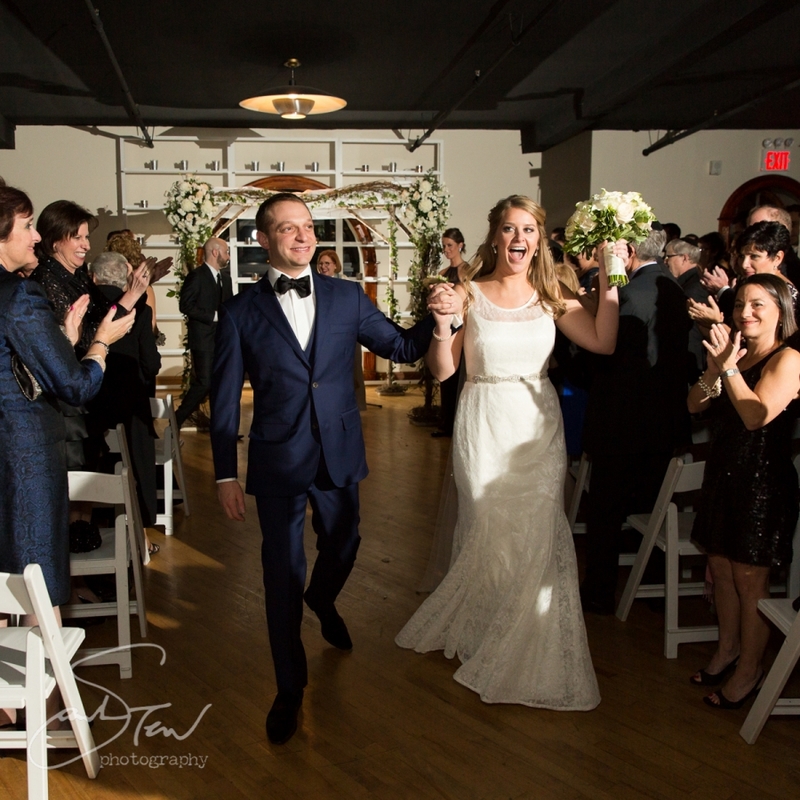 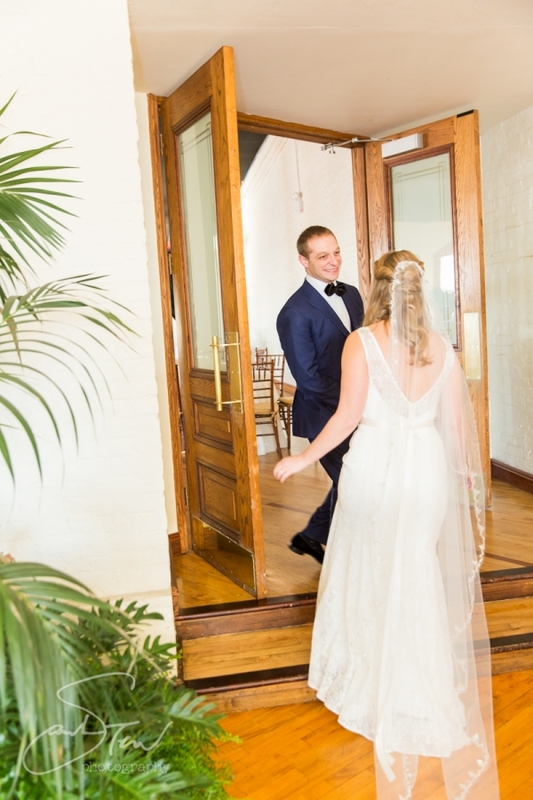 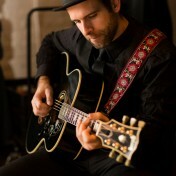 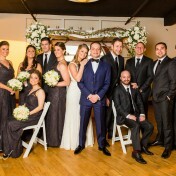 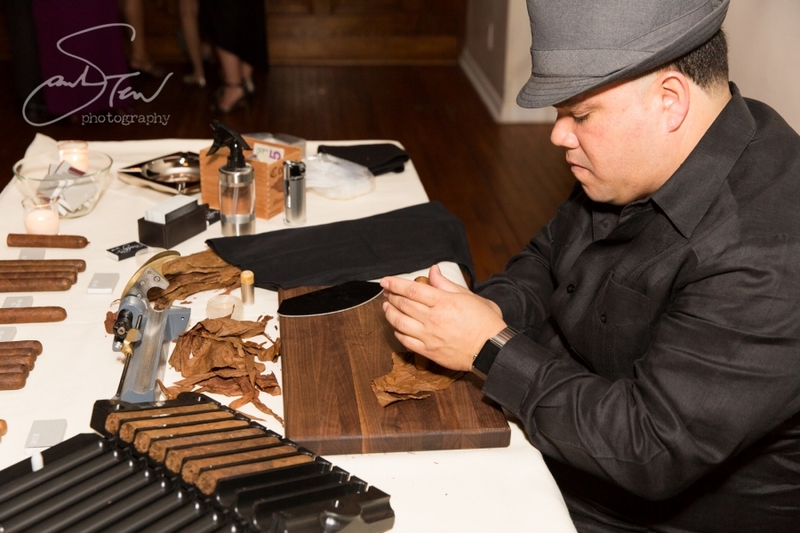 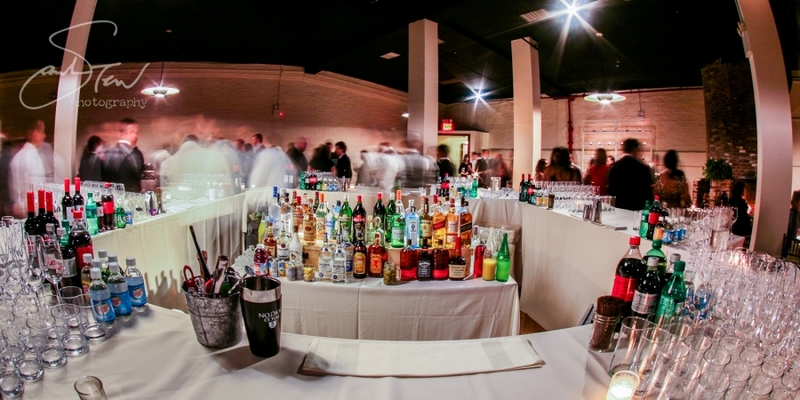 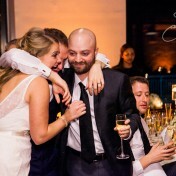 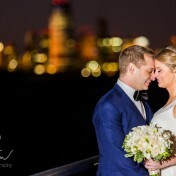 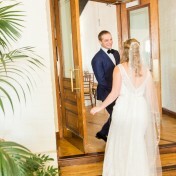 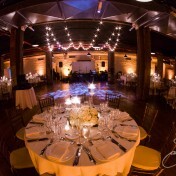 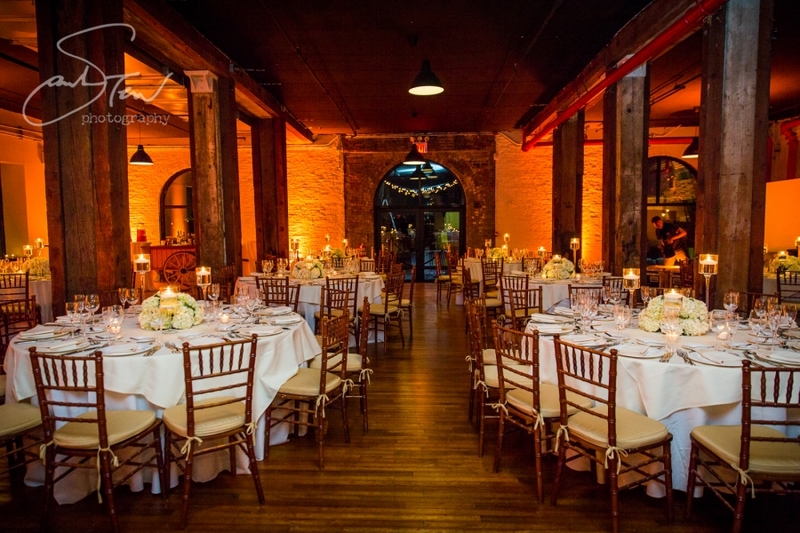 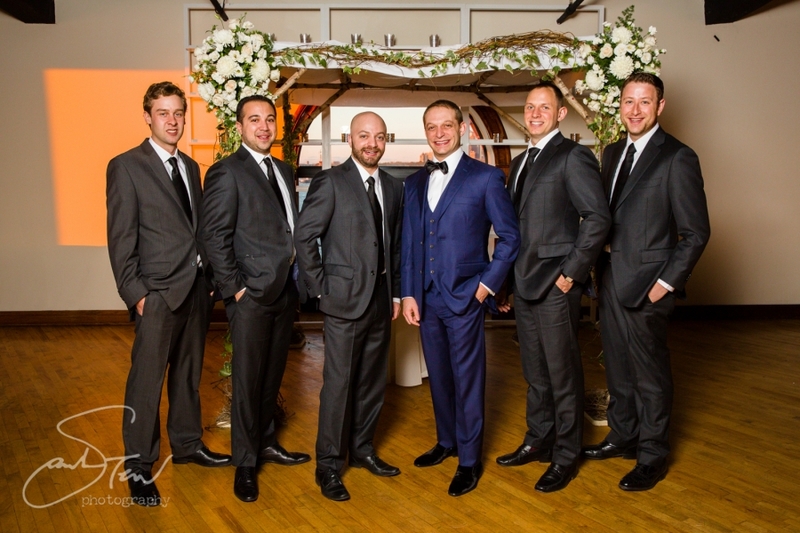 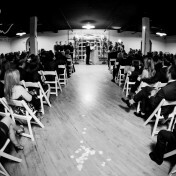 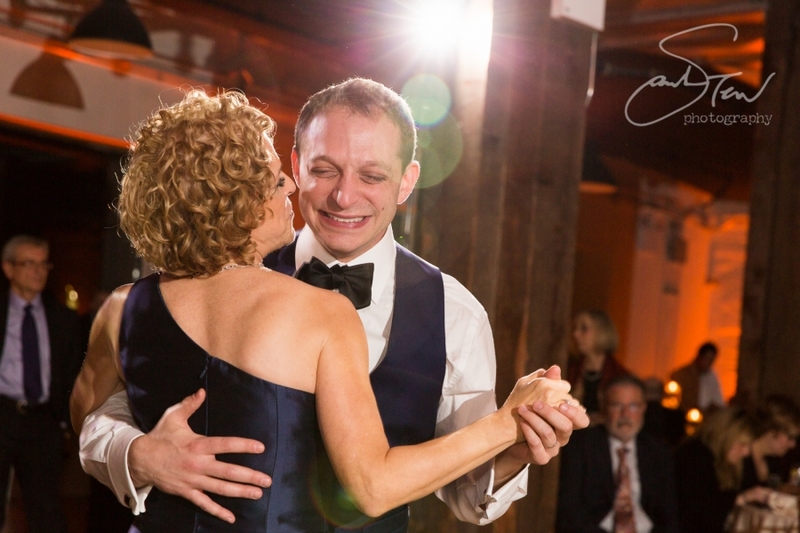 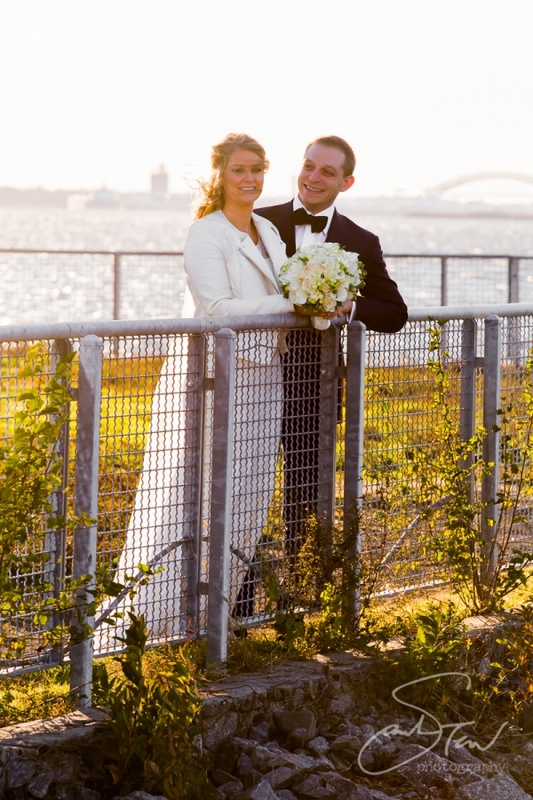 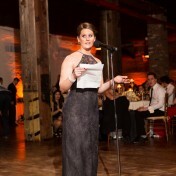 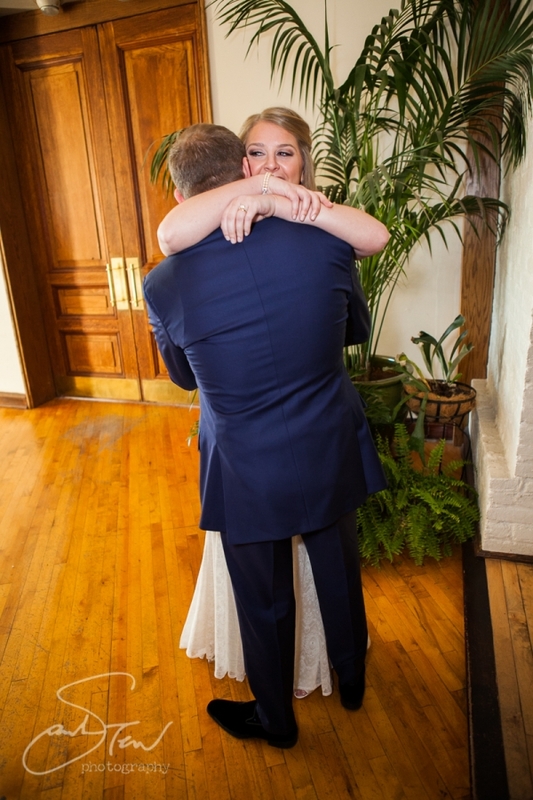 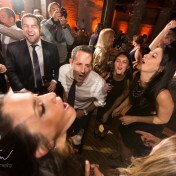 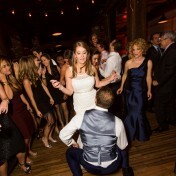 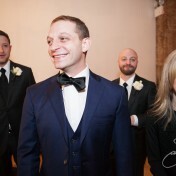 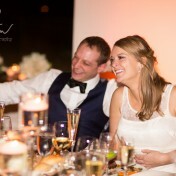 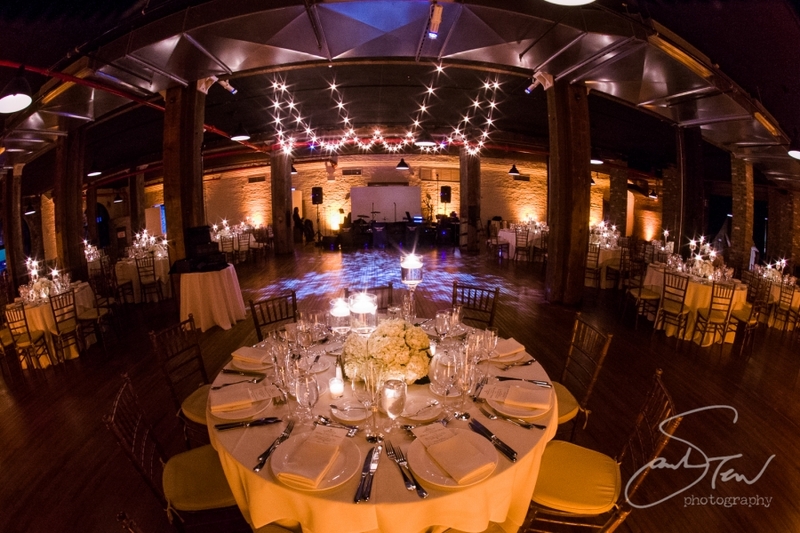 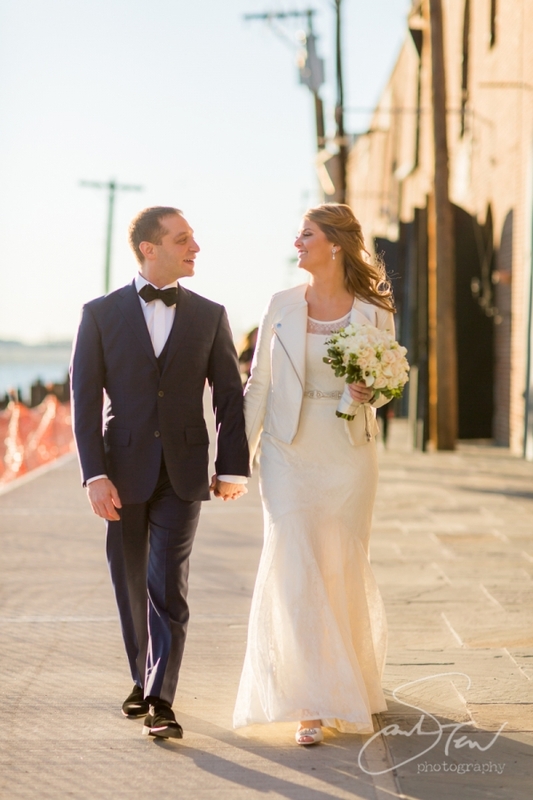 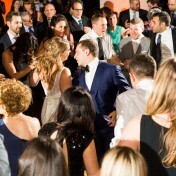 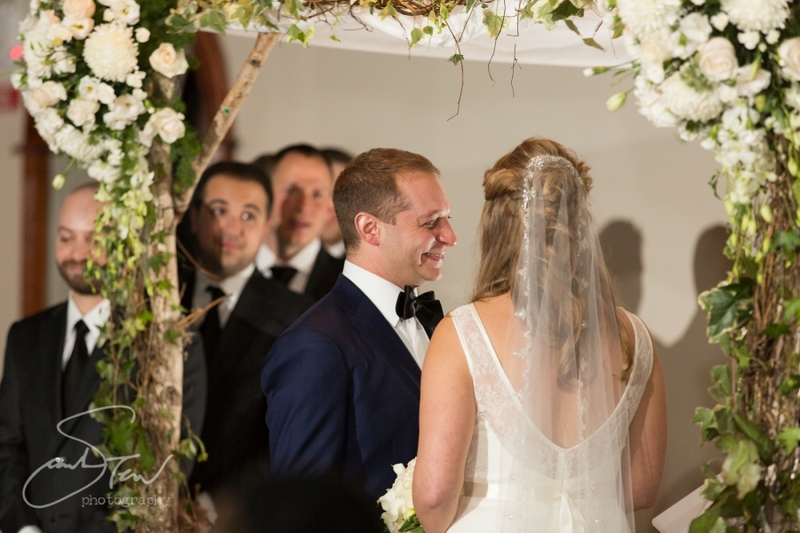 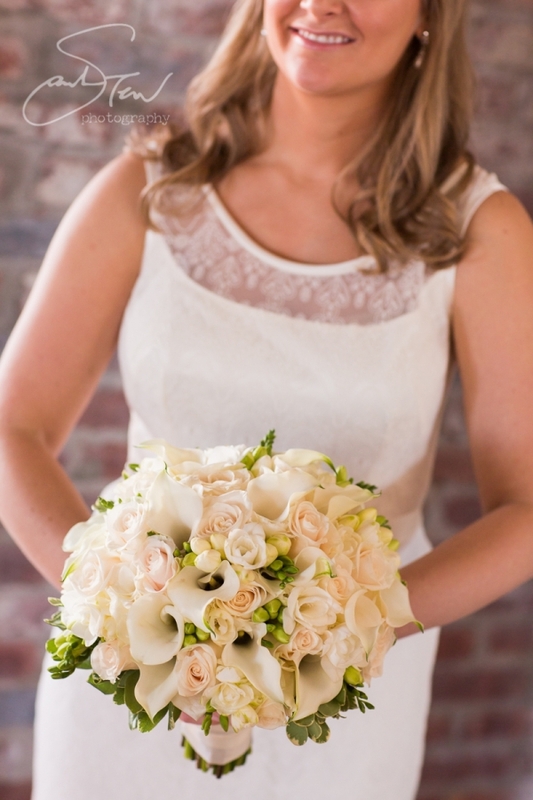 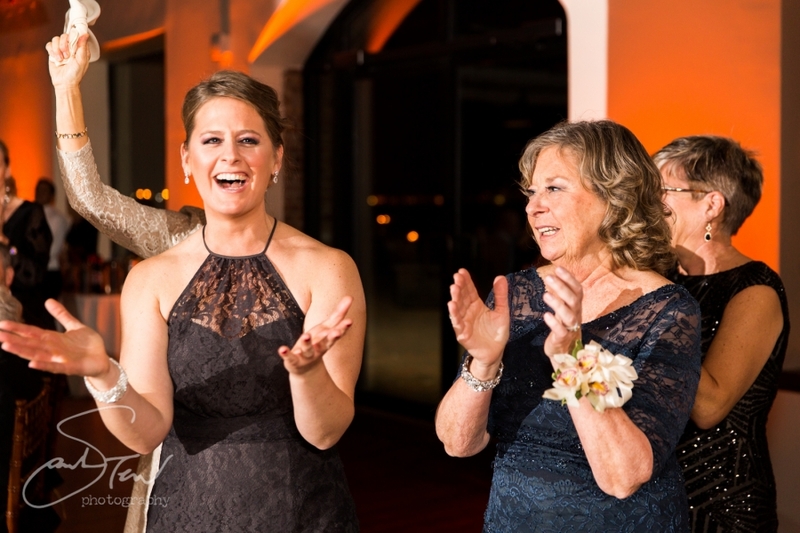 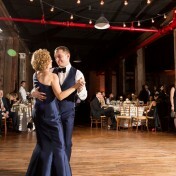 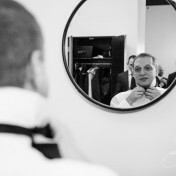 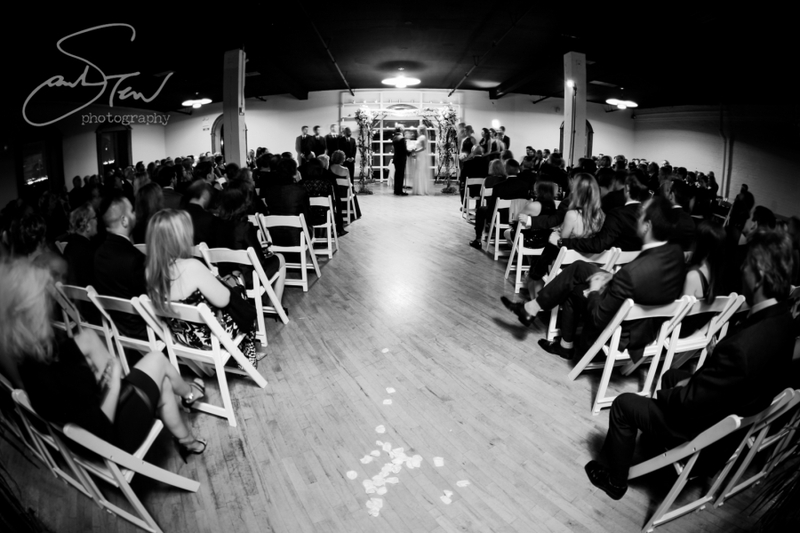 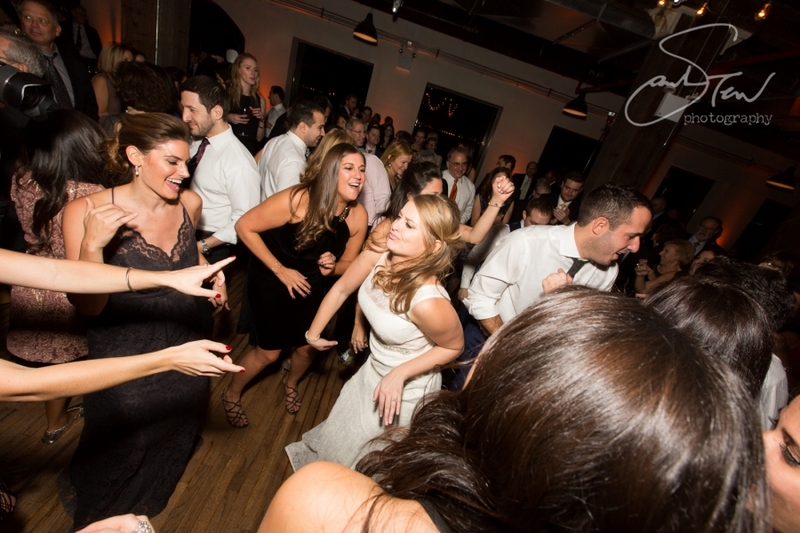 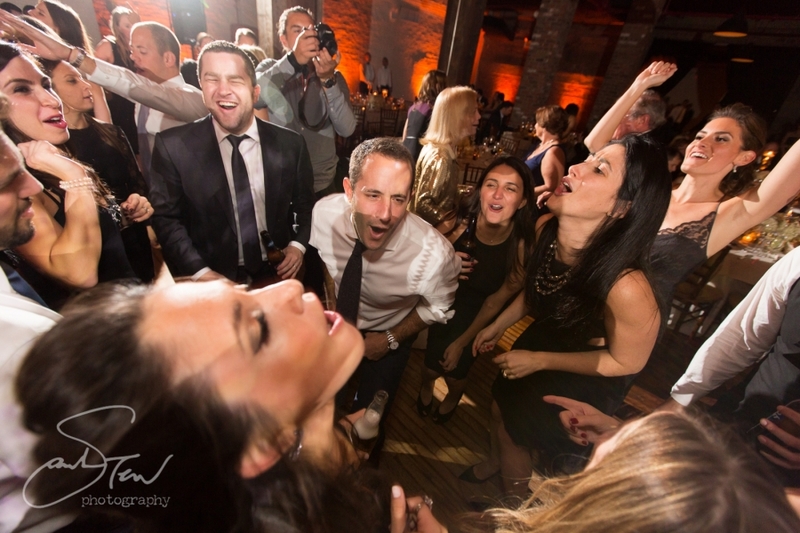 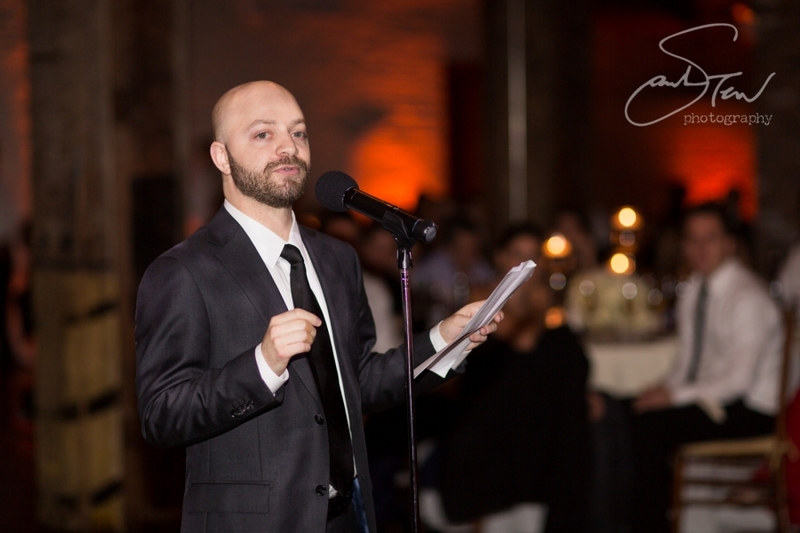 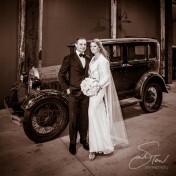 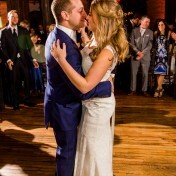 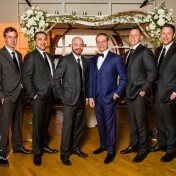 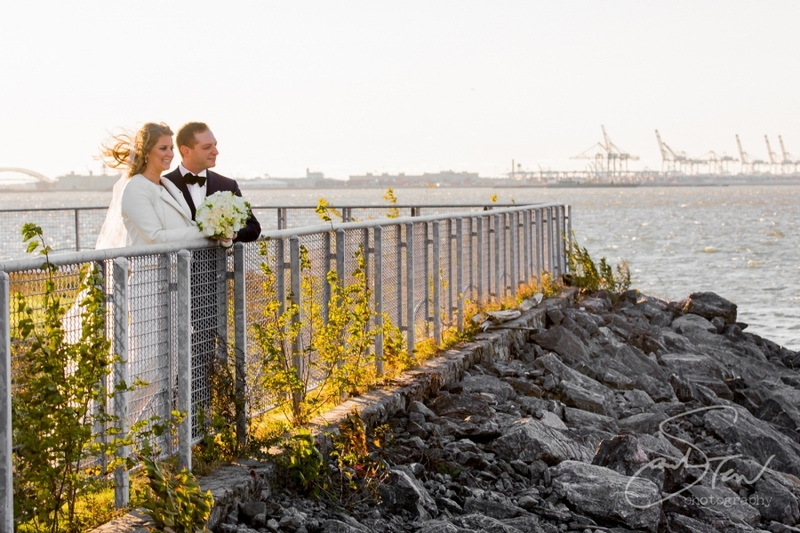 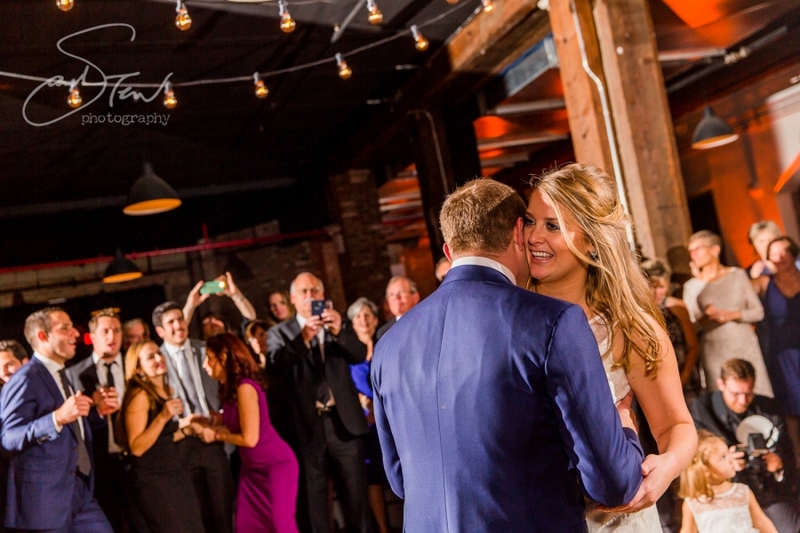 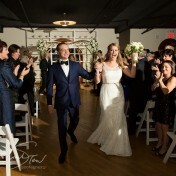 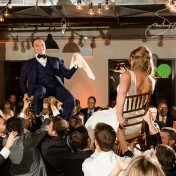 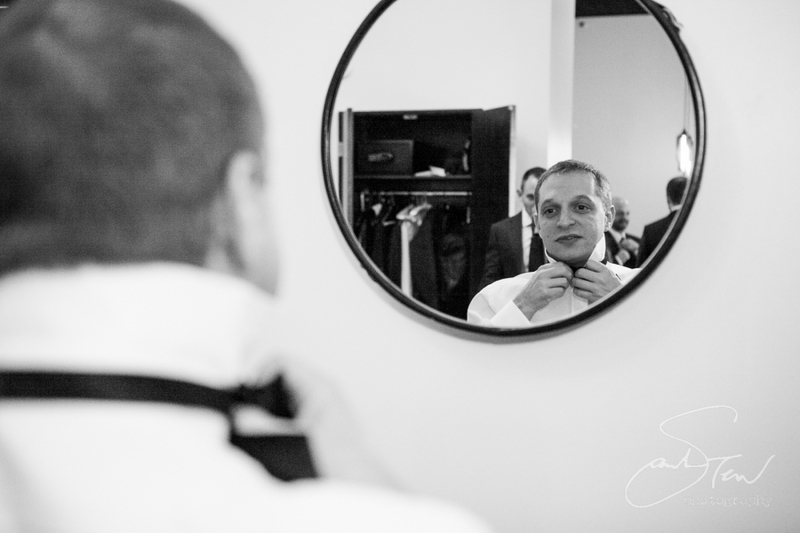 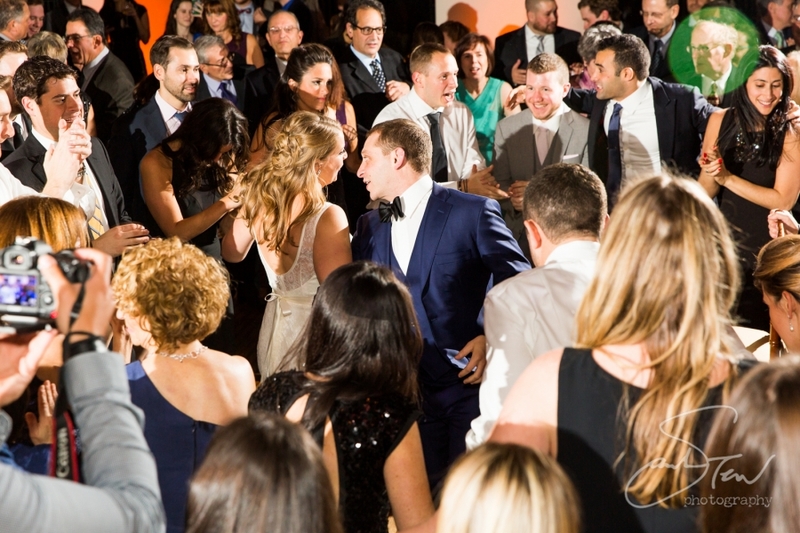 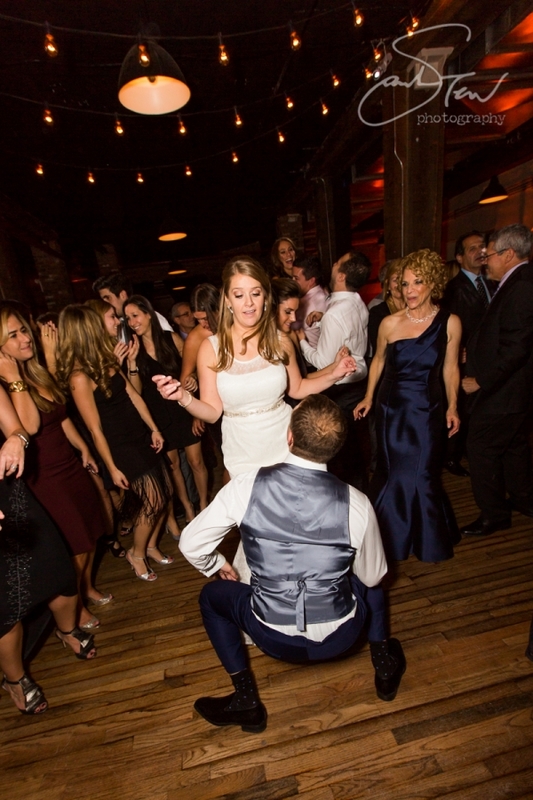 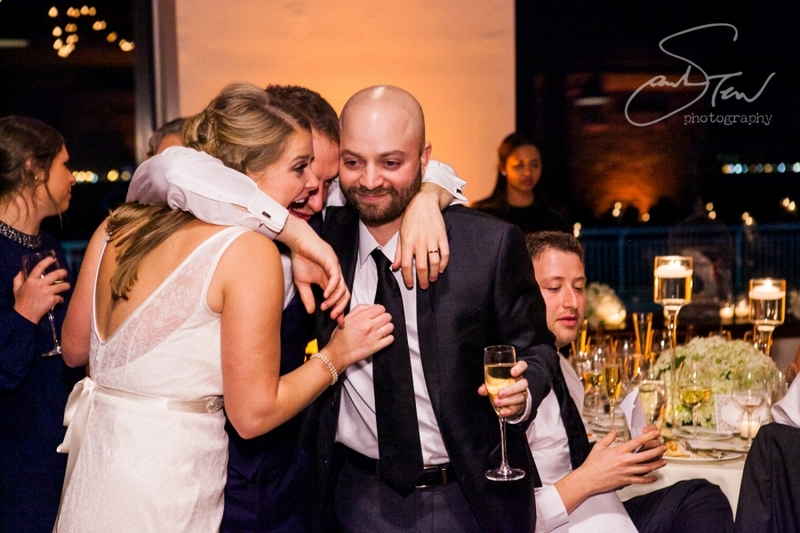 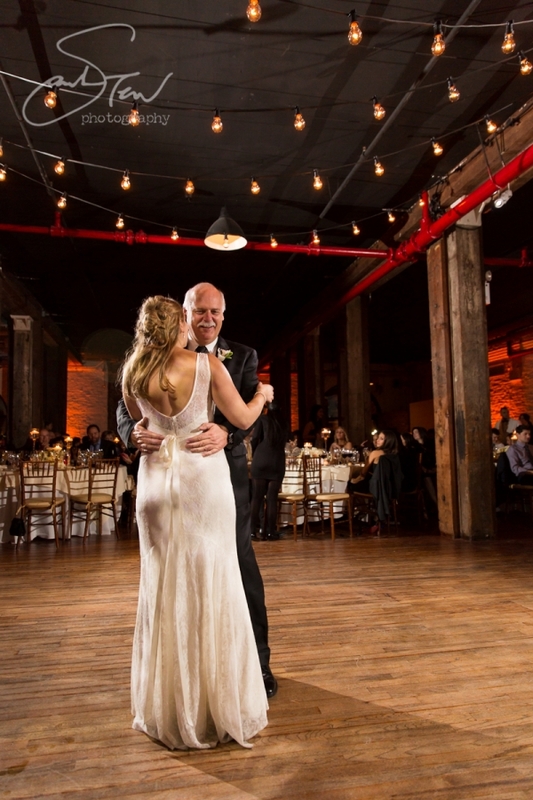 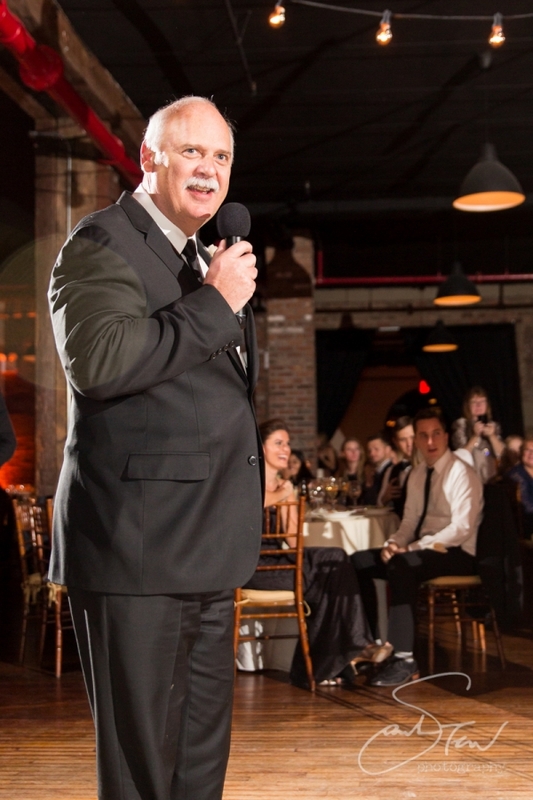 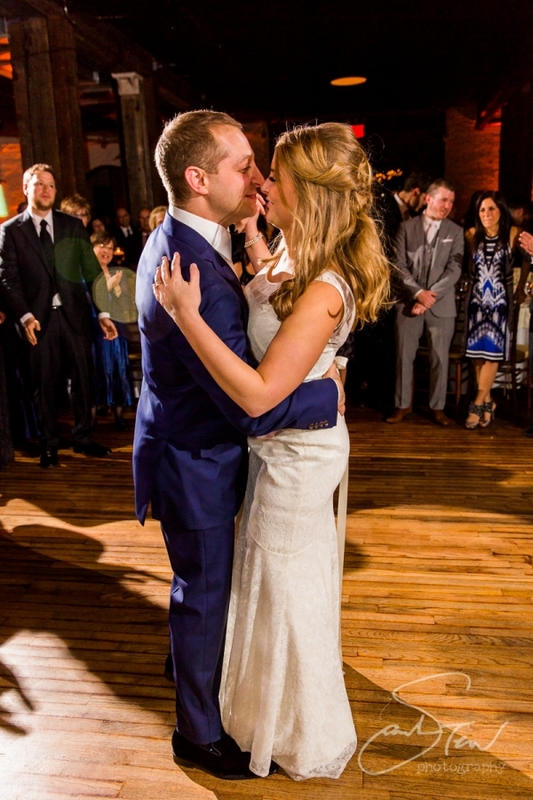 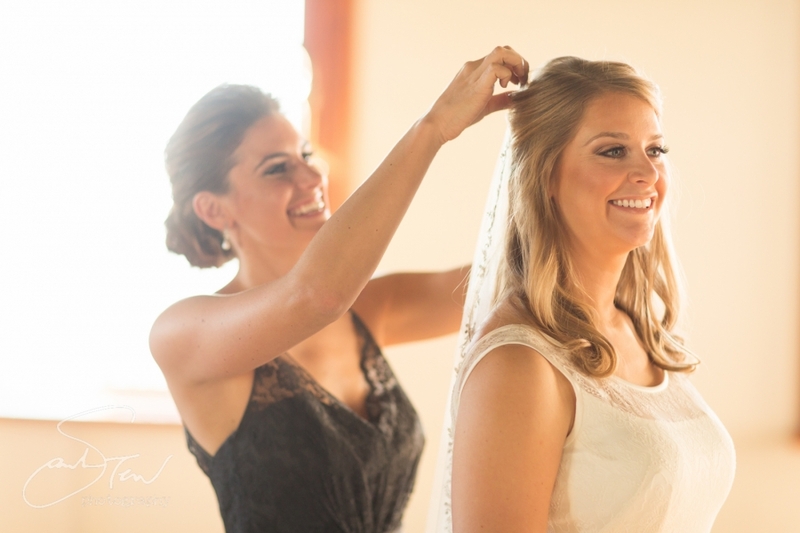 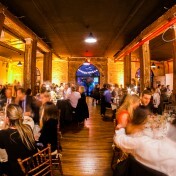 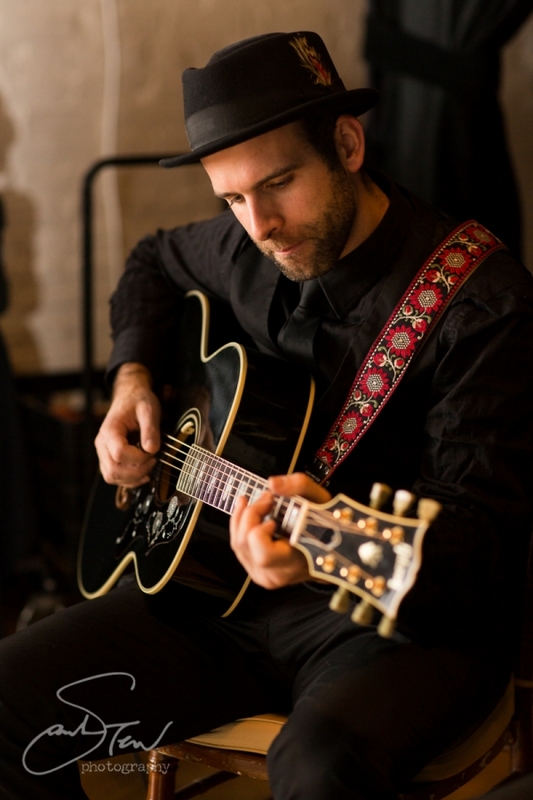 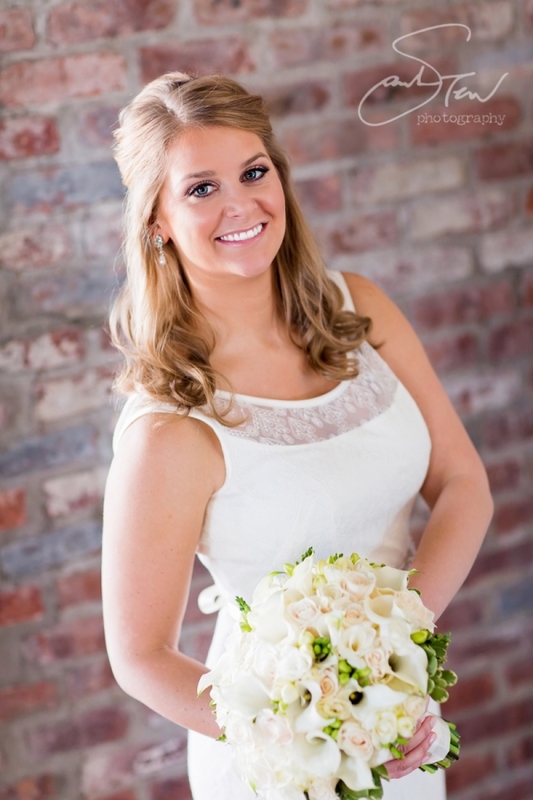 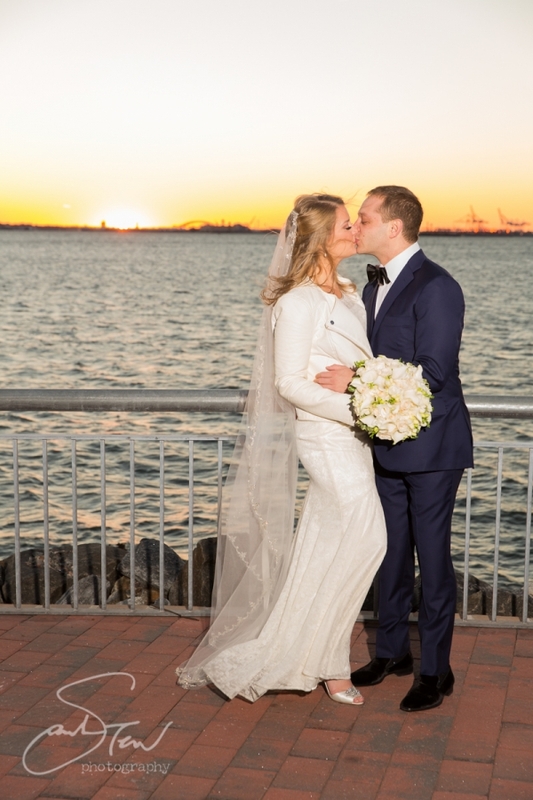 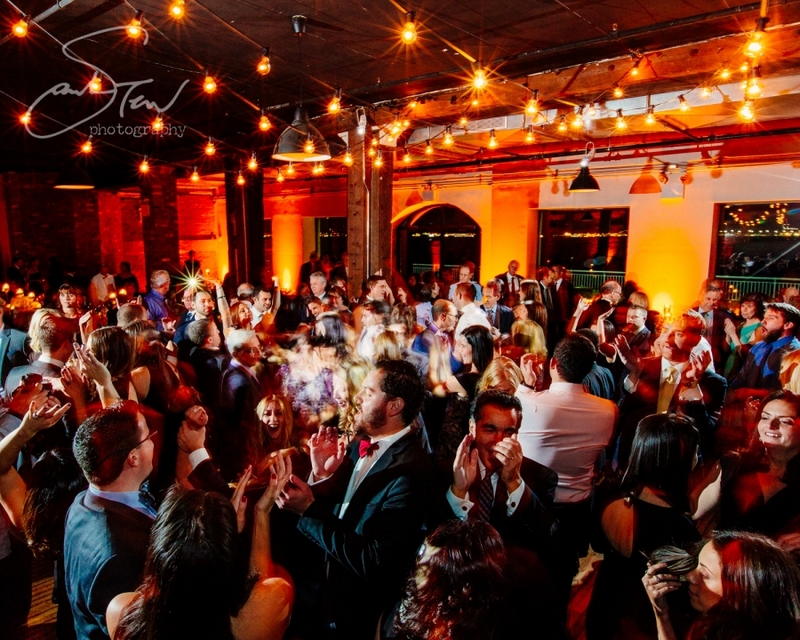 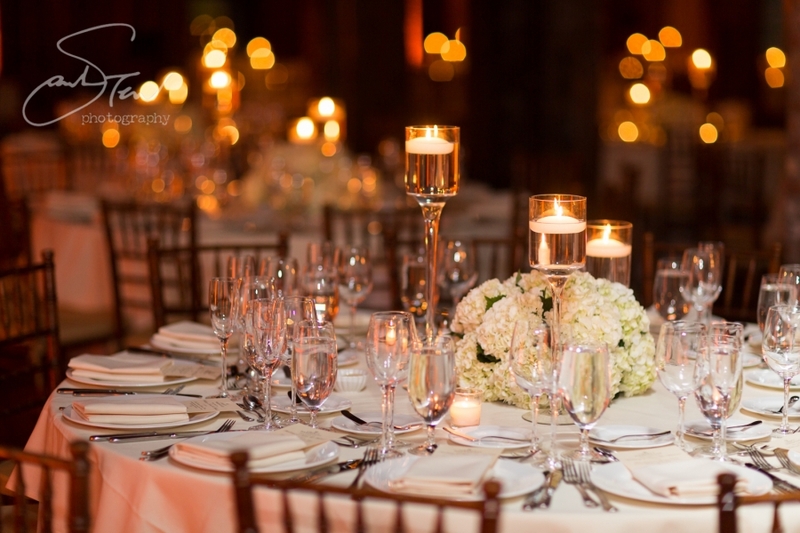 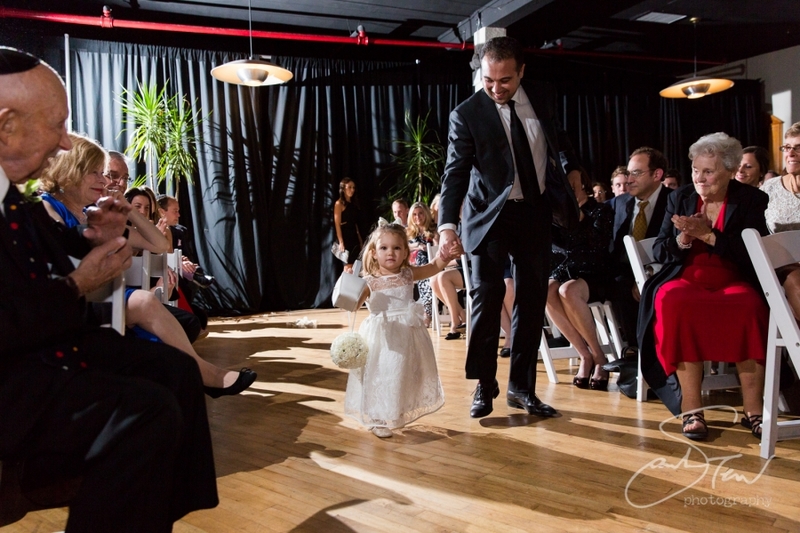 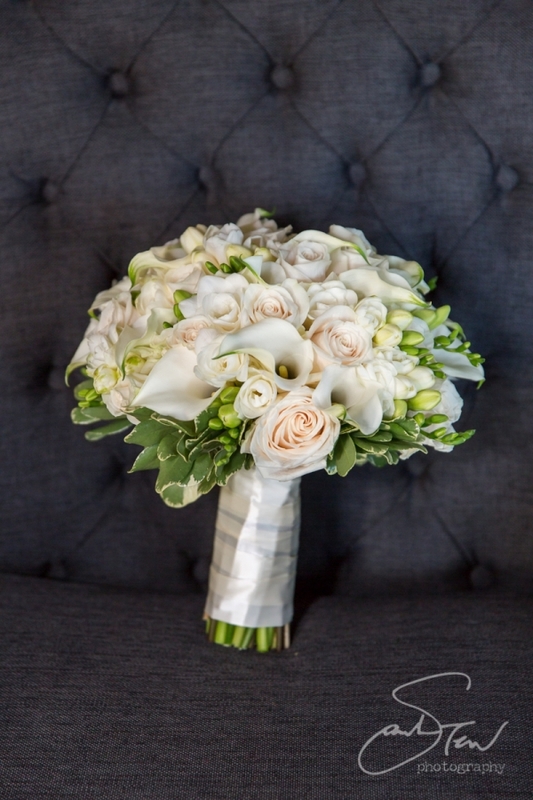 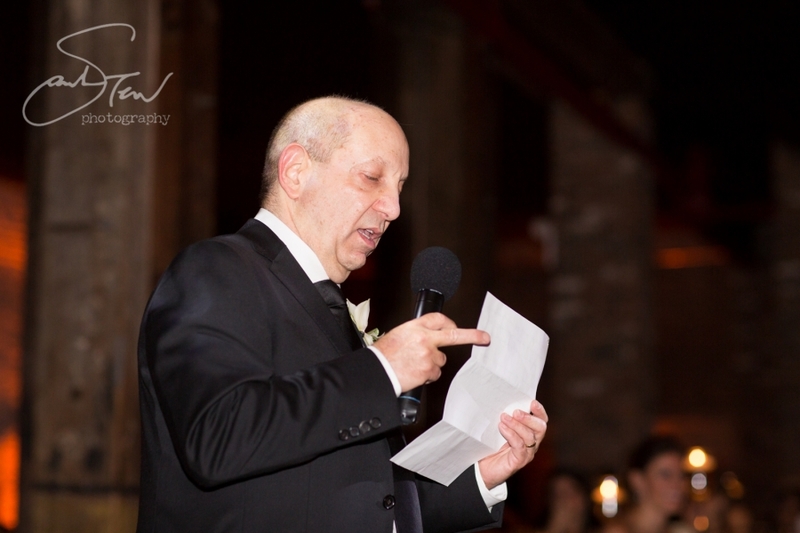 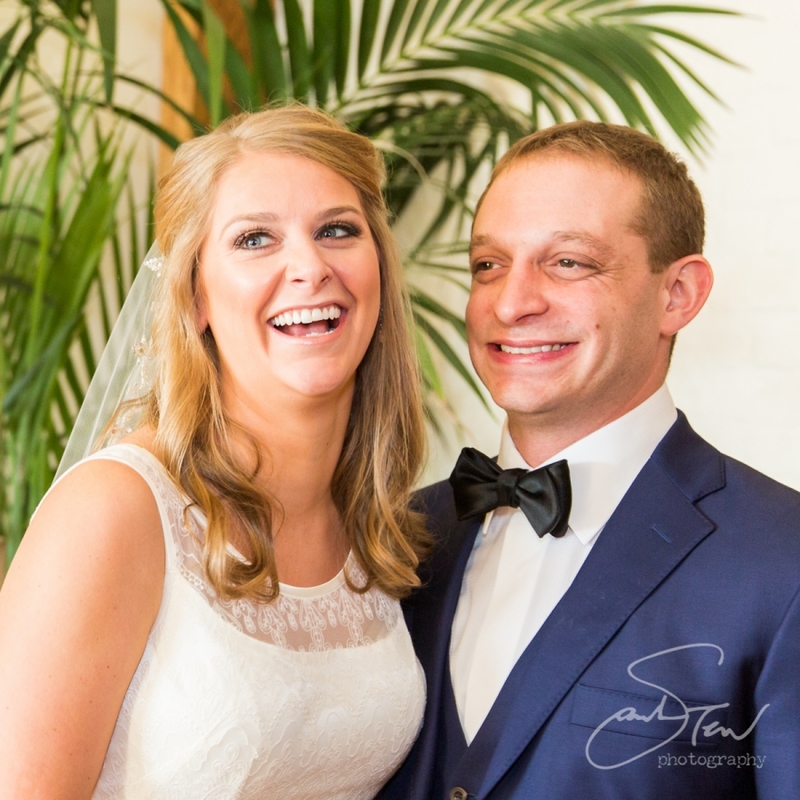 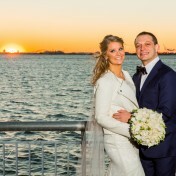 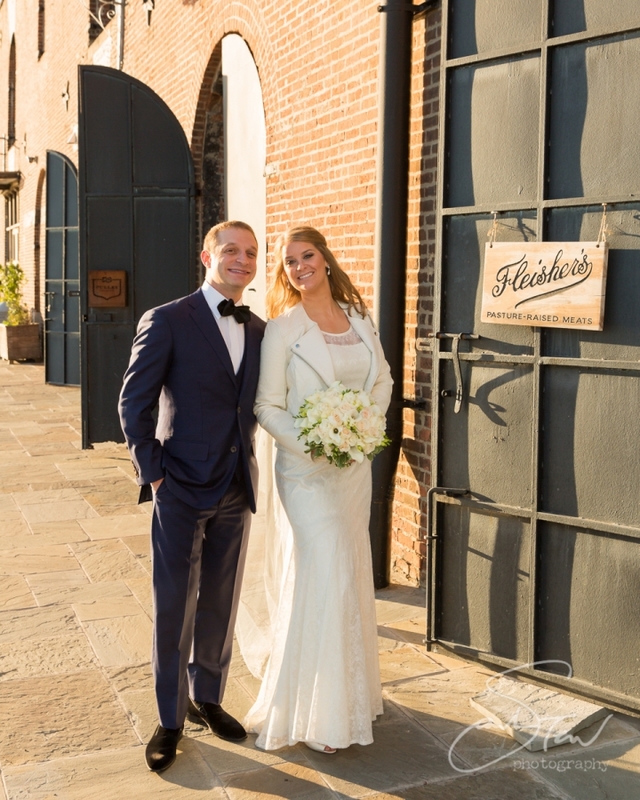 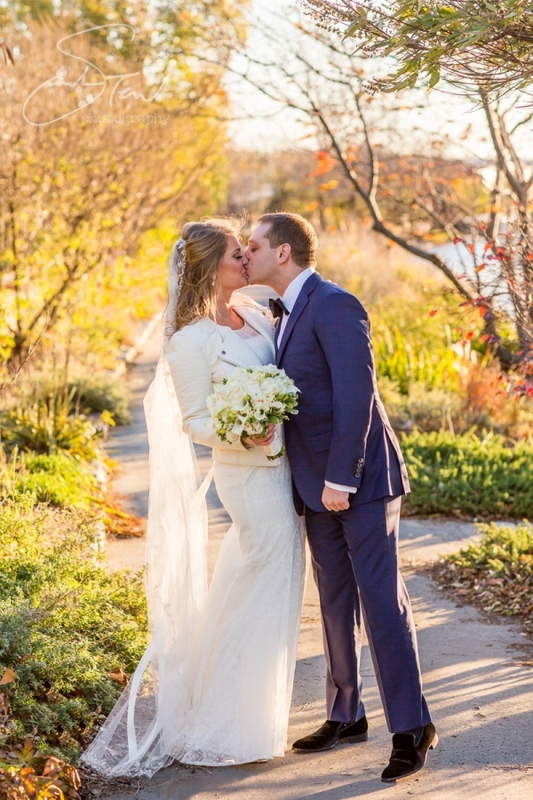 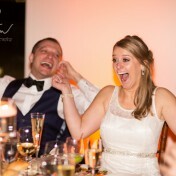 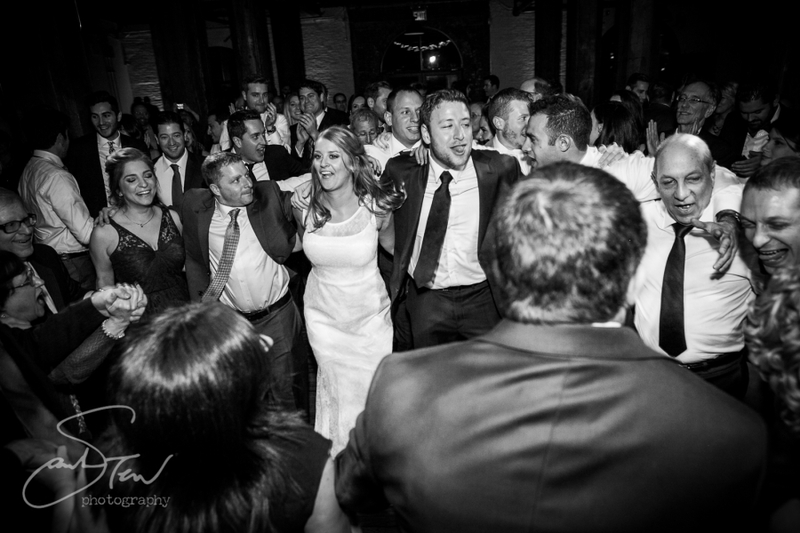 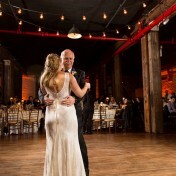 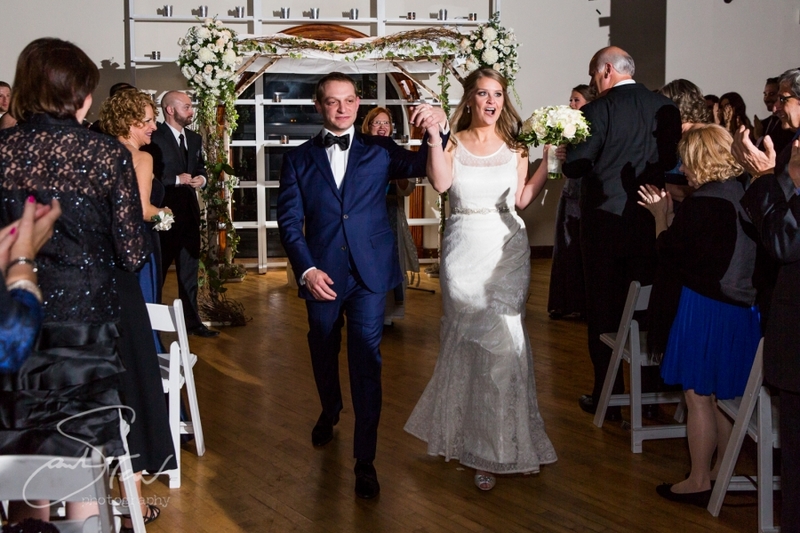 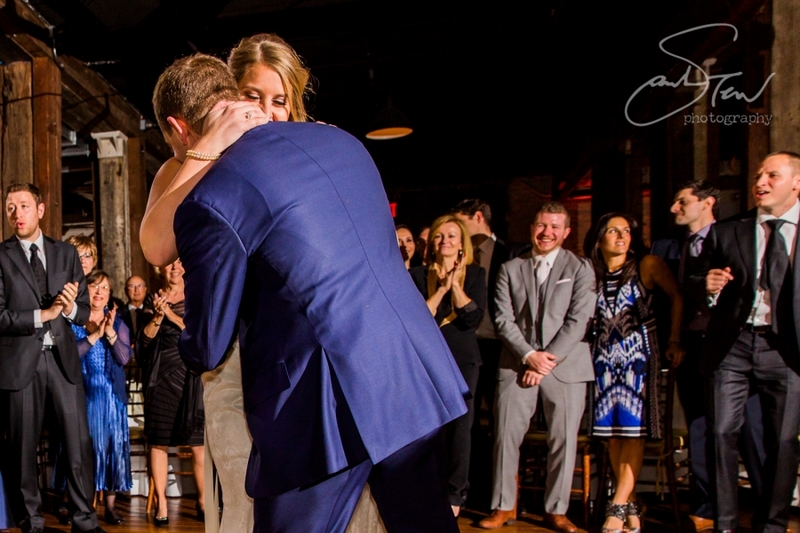 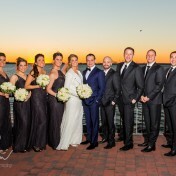 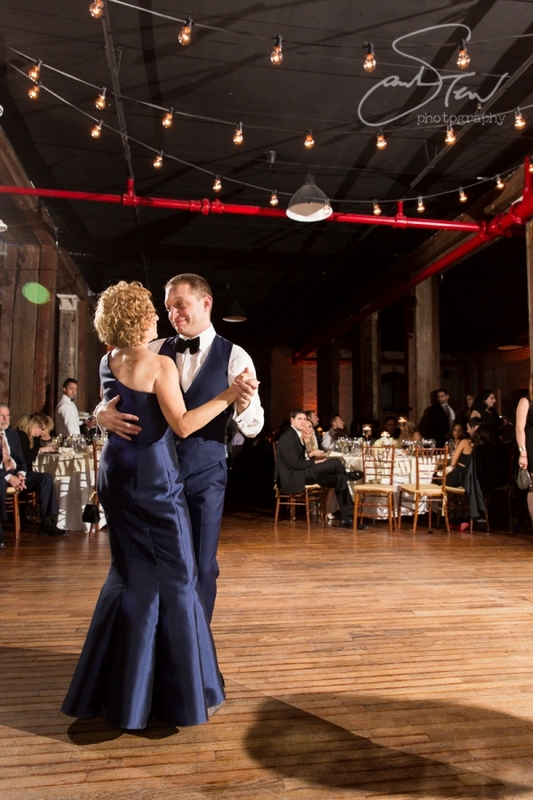 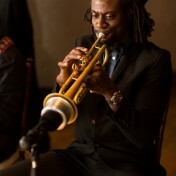 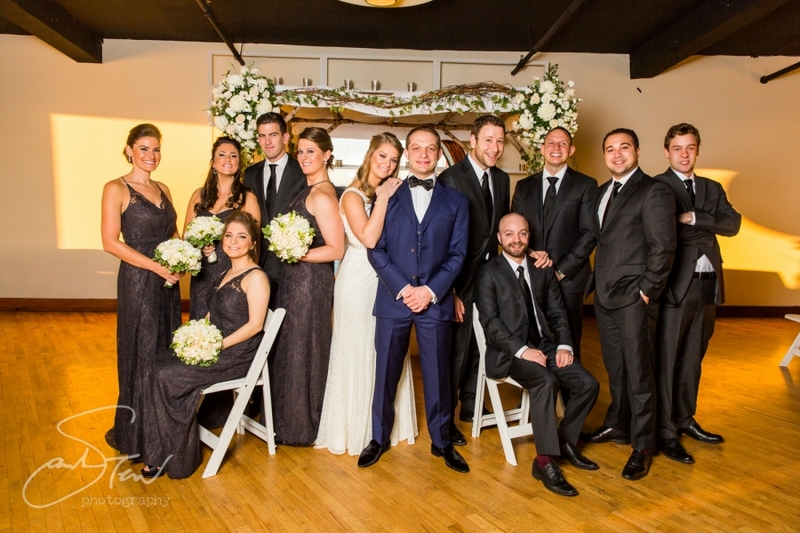 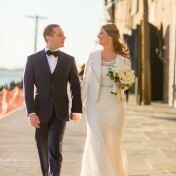 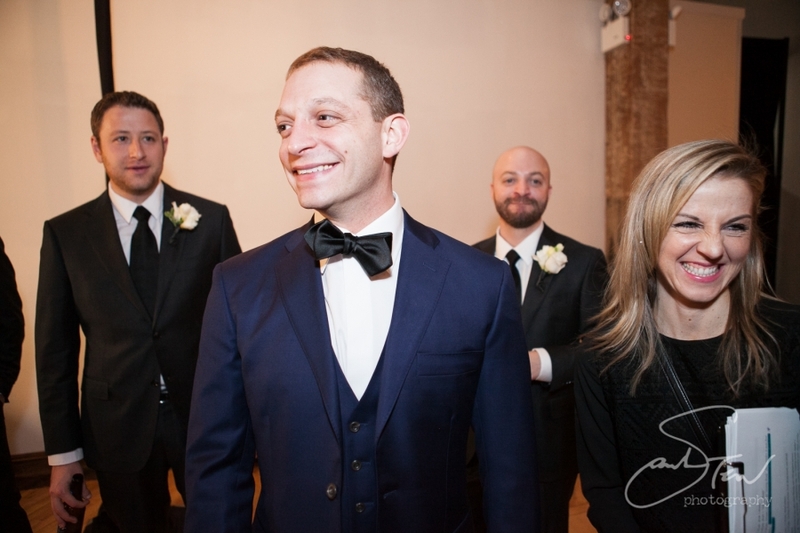 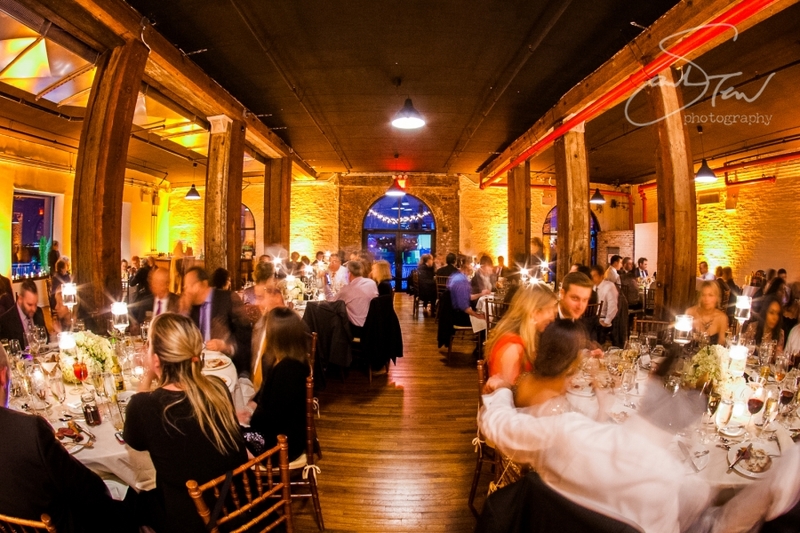 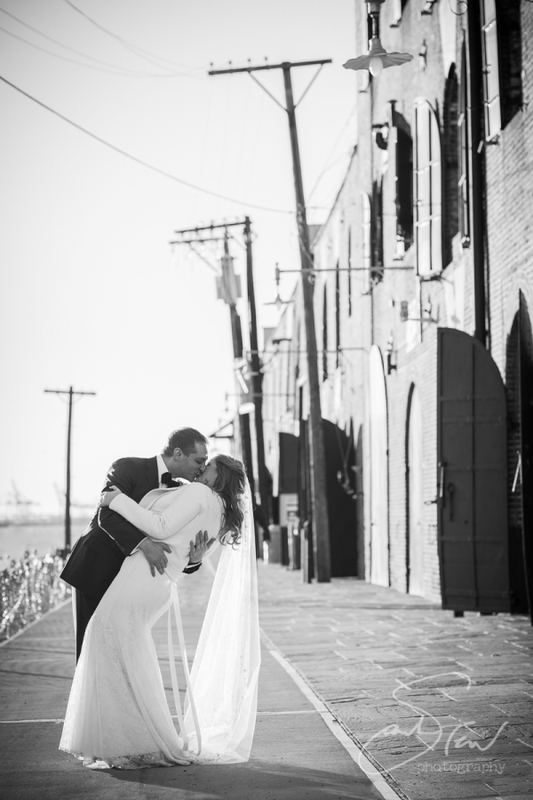 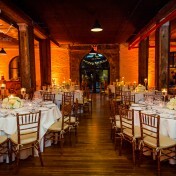 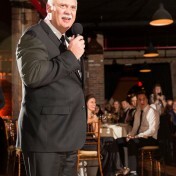 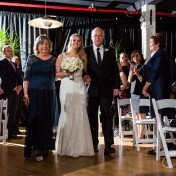 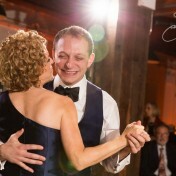 Karin & Michael were married on a beautiful fall evening in November at The Liberty Warehouse in Red Hook, Brooklyn. 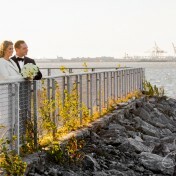 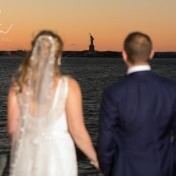 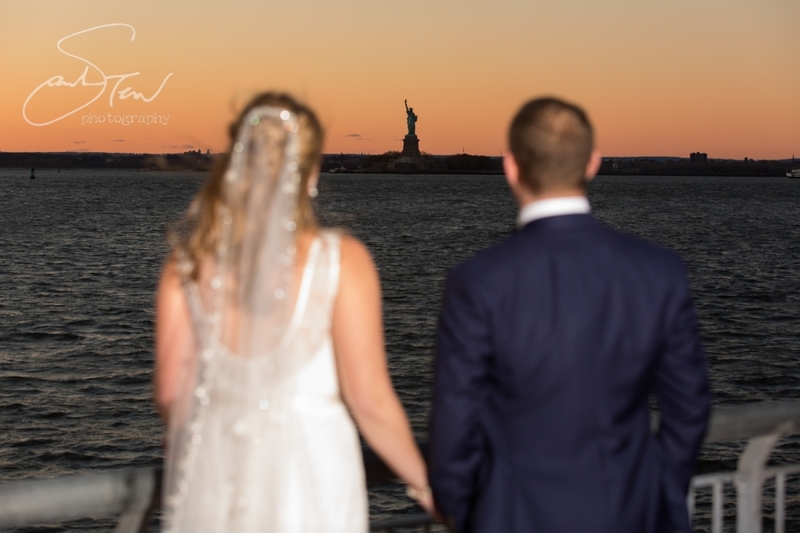 The location is a stunning example of “rustic industrial” done right– the facility has beautiful deck areas for viewing the statue of liberty and manhattan skyline across the water, and of course the sunset was lovely as it went down behind the couple and their wedding party during the tail end of our outdoor portraits. 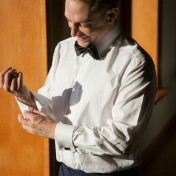 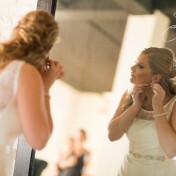 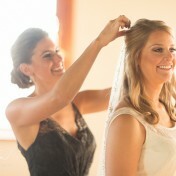 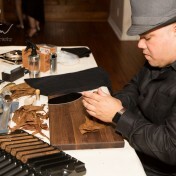 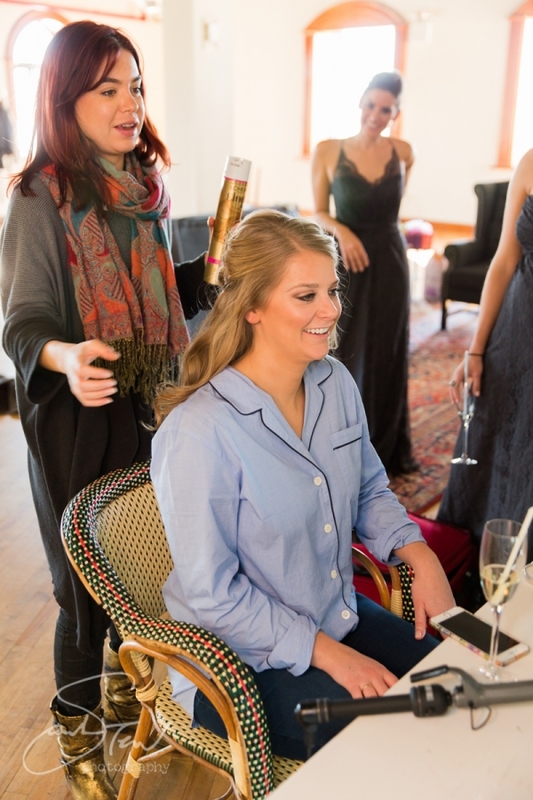 I started the day with Karin’s preparation while my assistant shot with the guys over at the Gild Hotel in Manhattan. 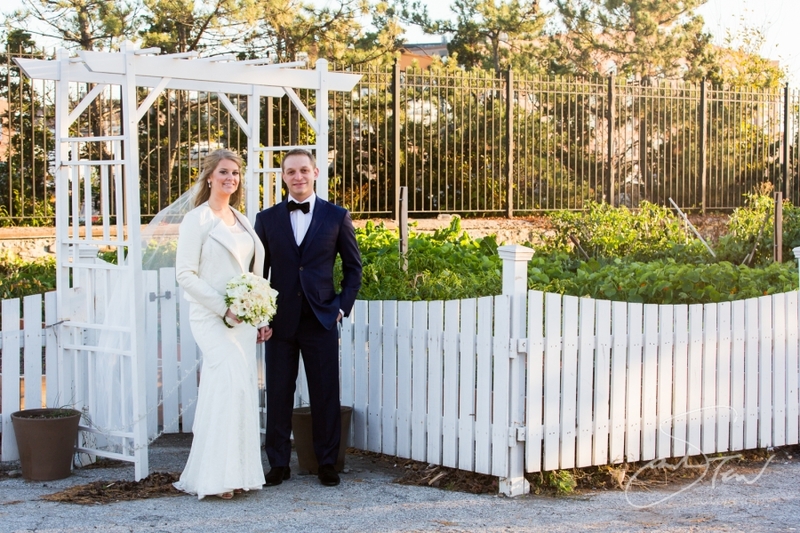 After a sweet first look indoors, Karin & Michael were willing to brave the windy conditions and let me get some portraits of them outside– I love what we got– it was cold of course so she kept her chic white leather jacket on most of the time! 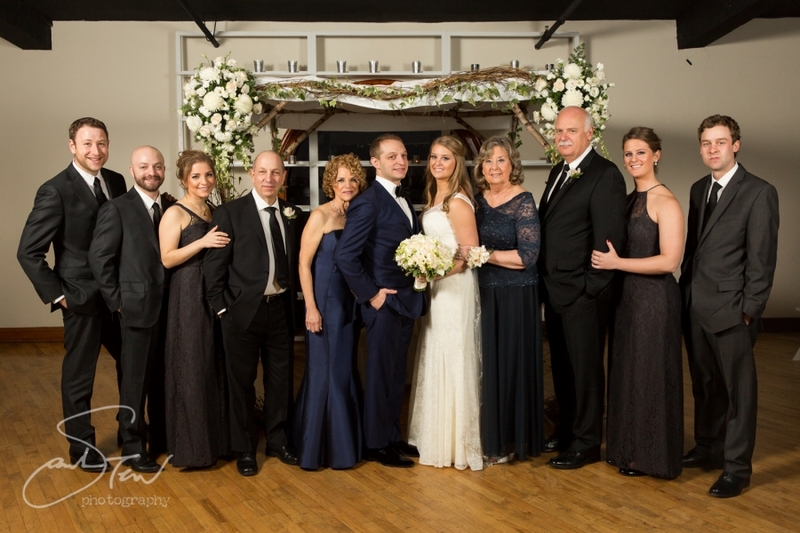 Once back upstairs safe indoors we shot the wedding party and family groups before guests began to arrive for the evening’s celebration. 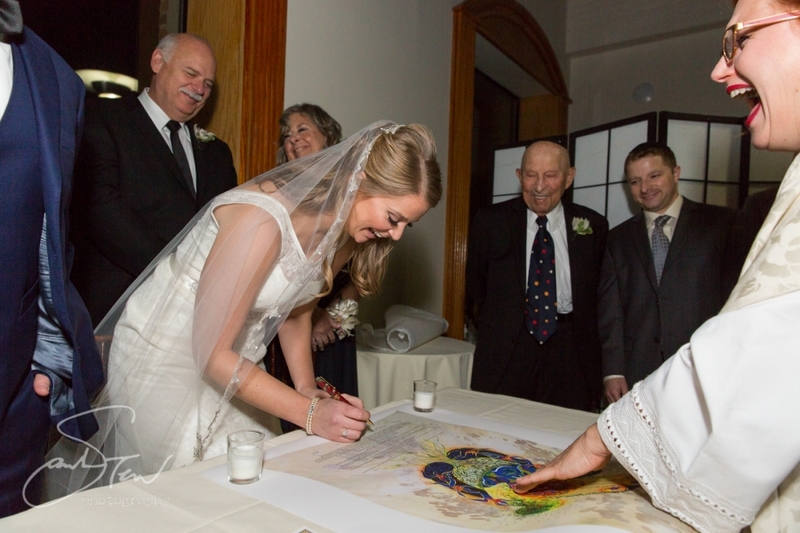 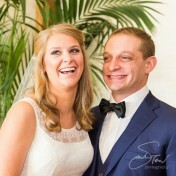 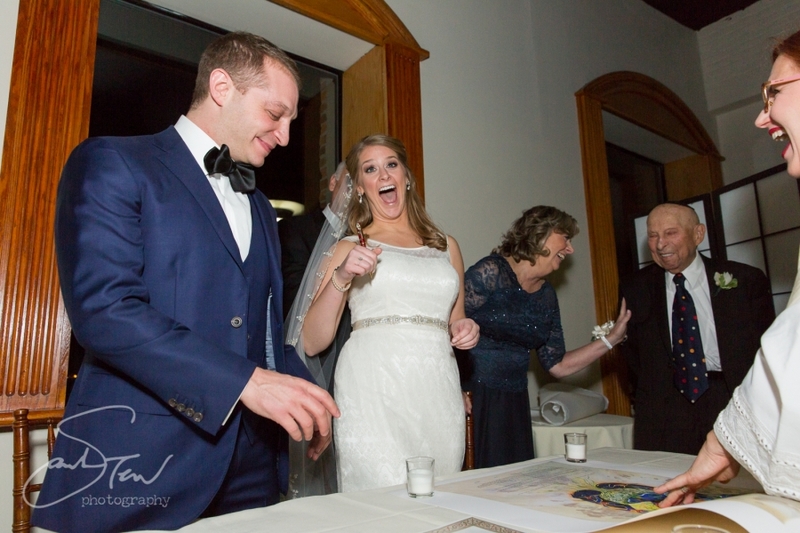 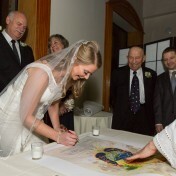 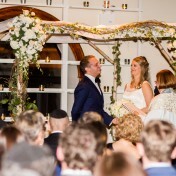 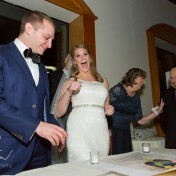 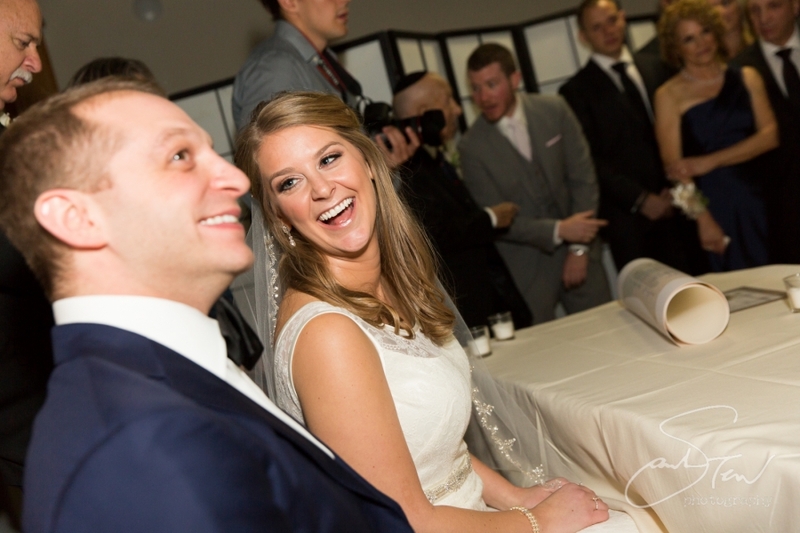 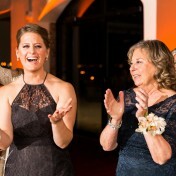 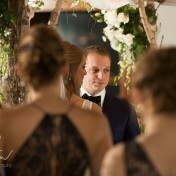 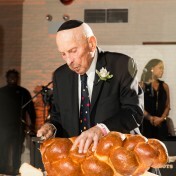 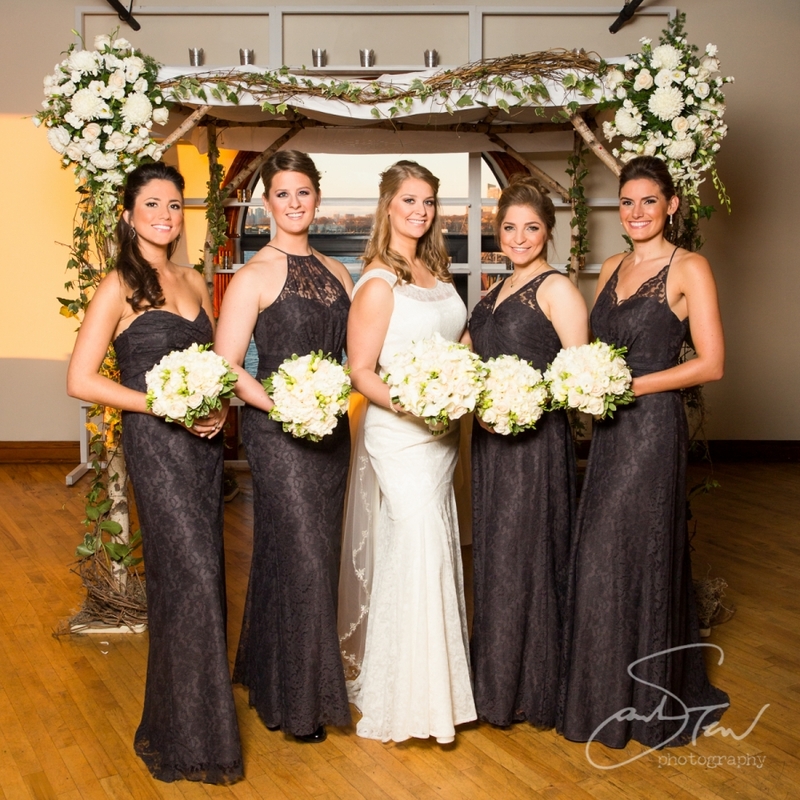 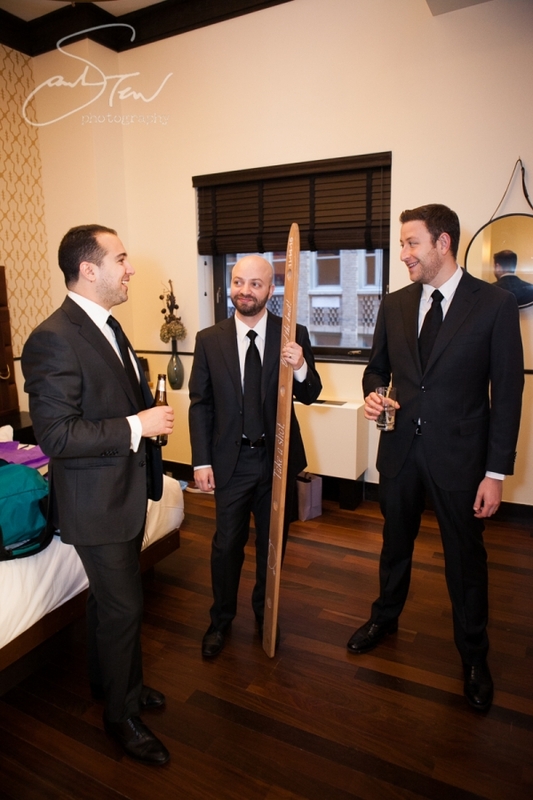 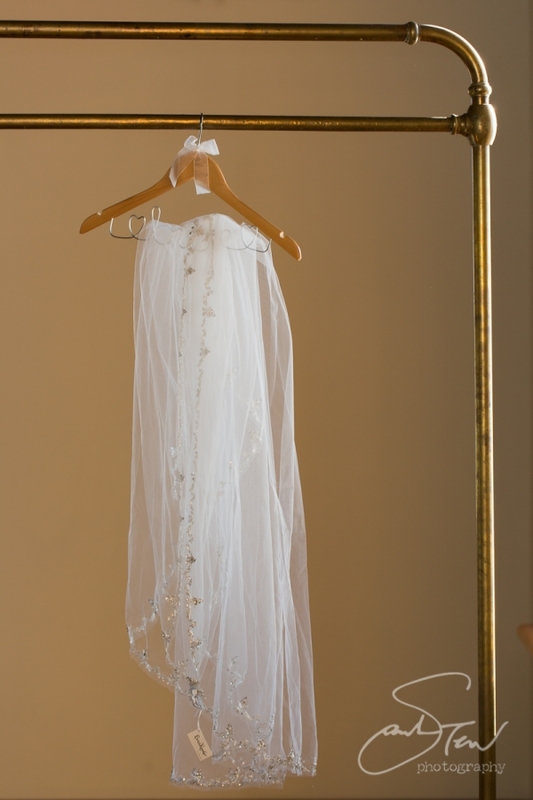 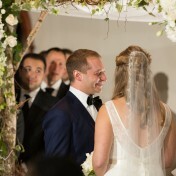 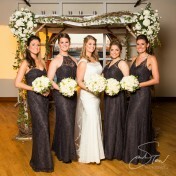 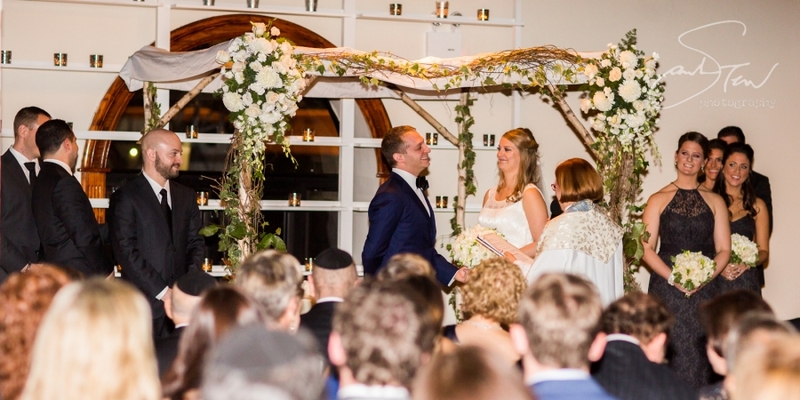 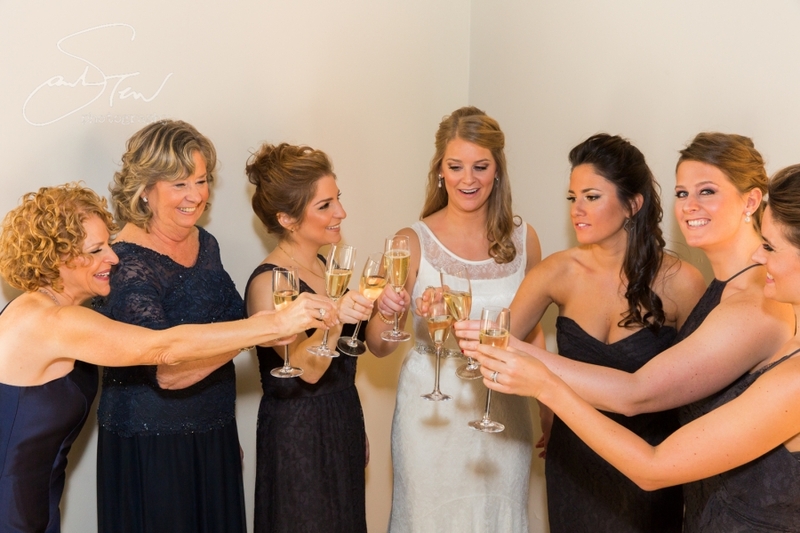 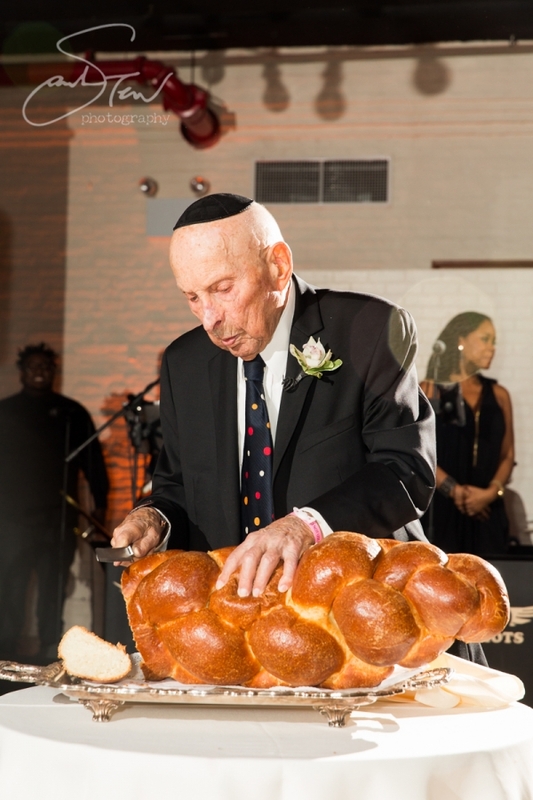 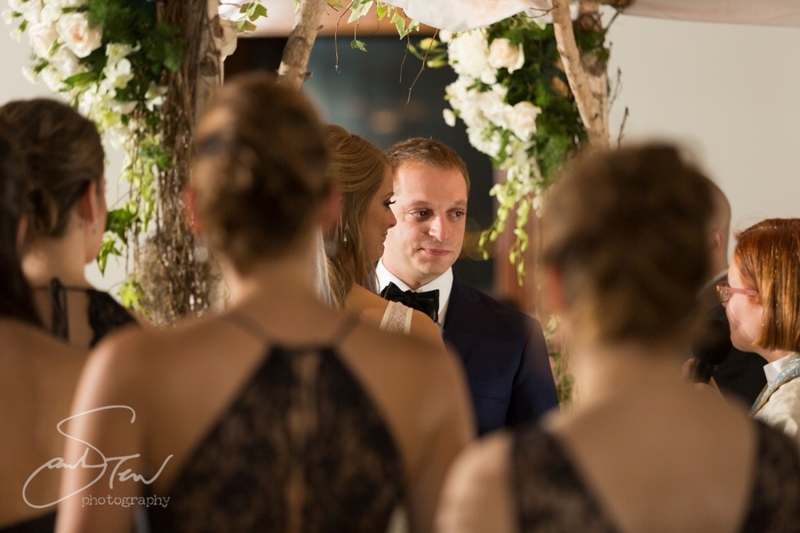 After a Ketubah signing in the bridal suite with family and friends witnessing, all made their way to the ceremony space. 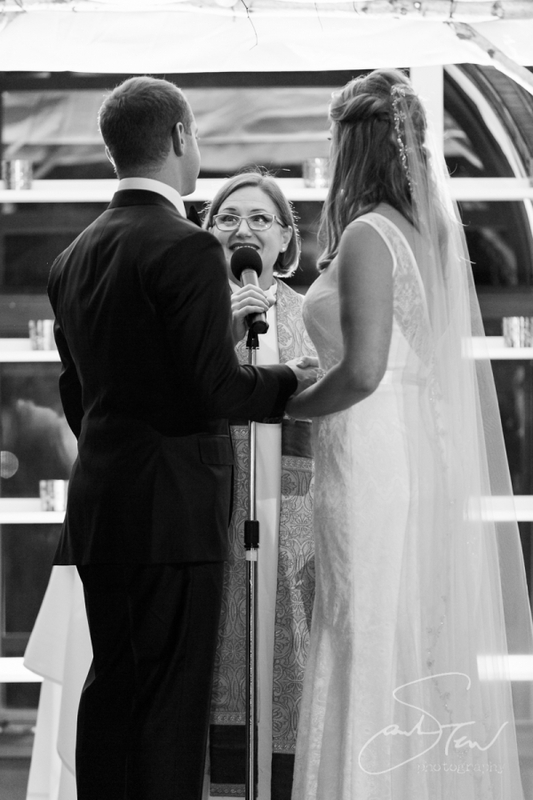 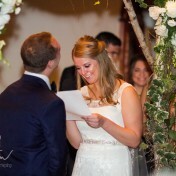 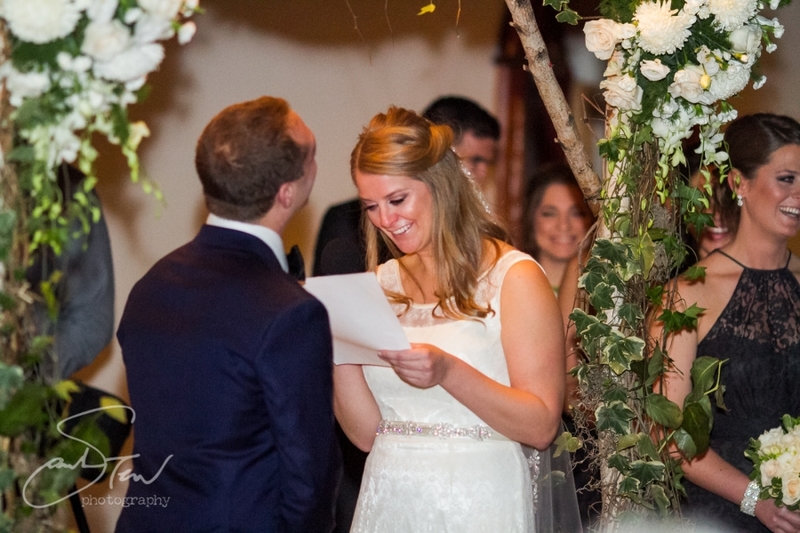 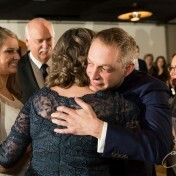 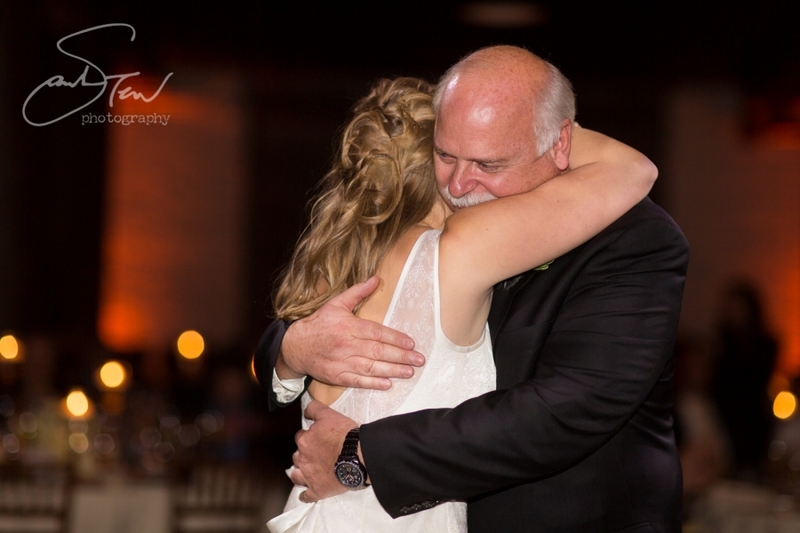 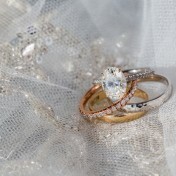 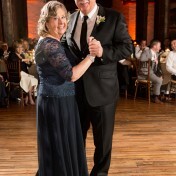 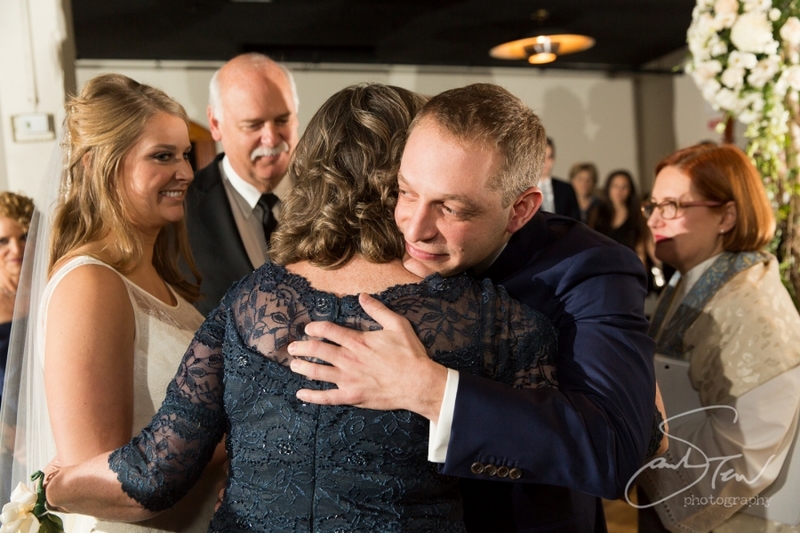 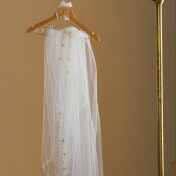 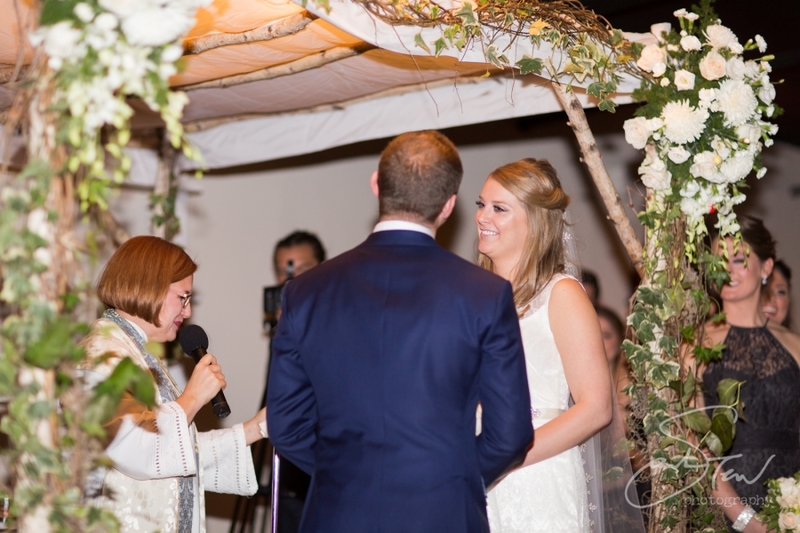 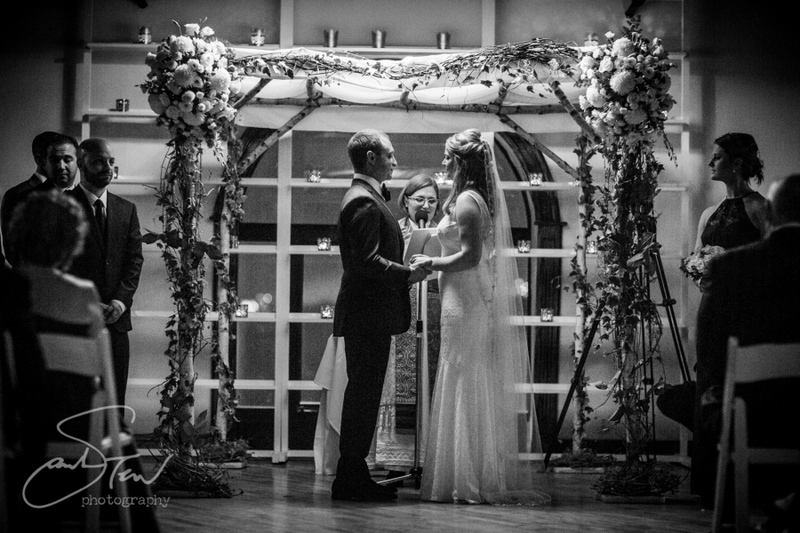 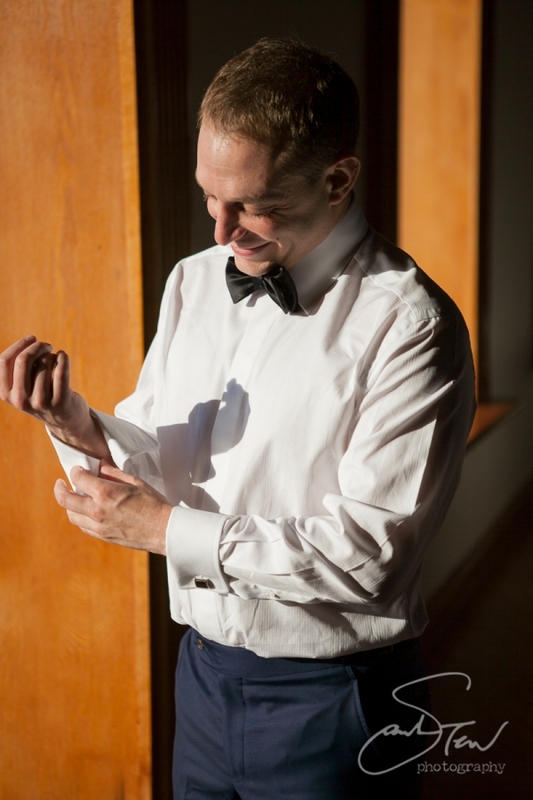 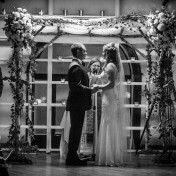 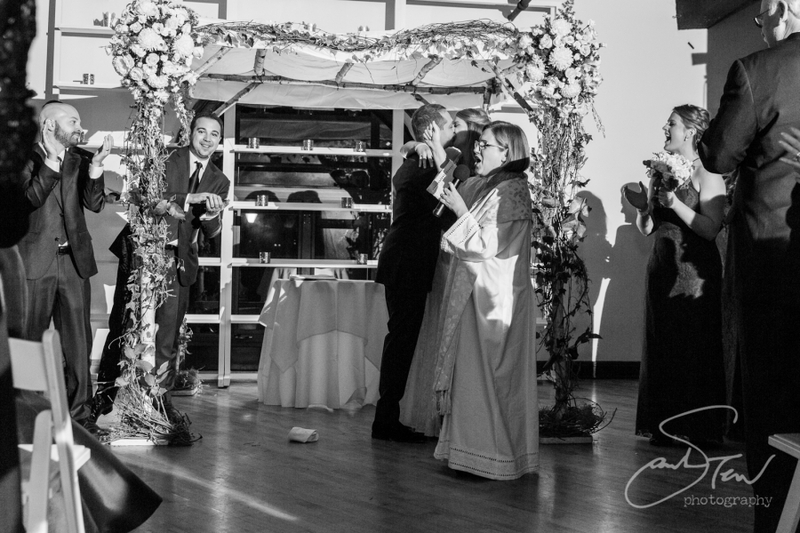 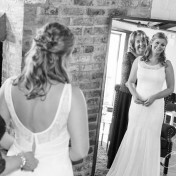 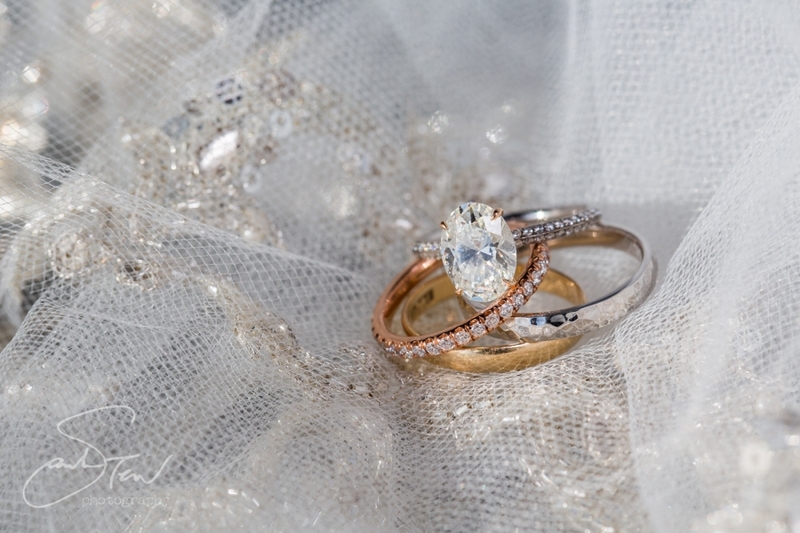 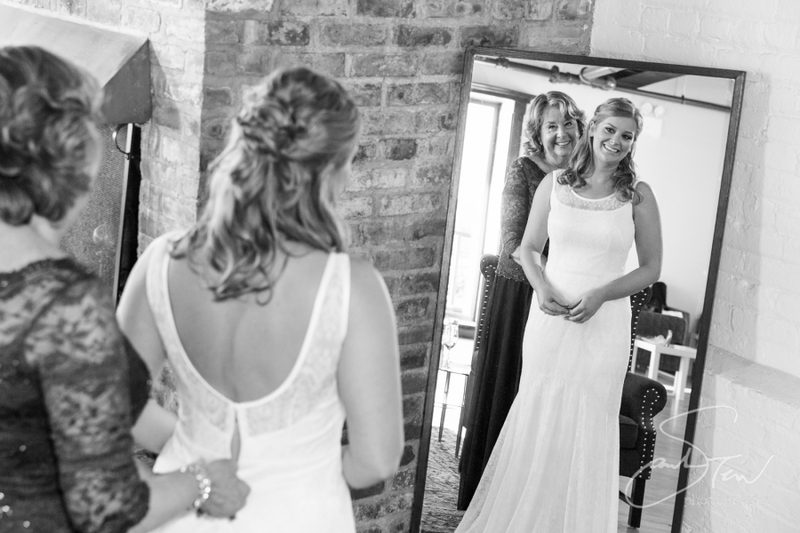 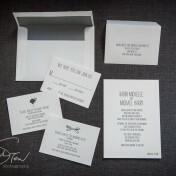 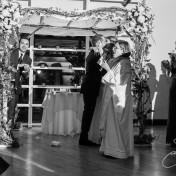 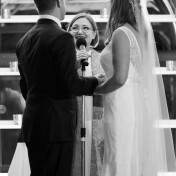 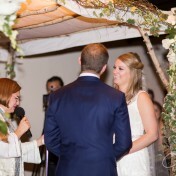 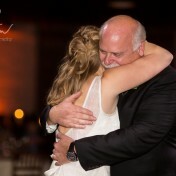 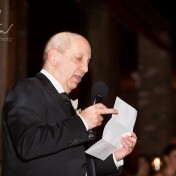 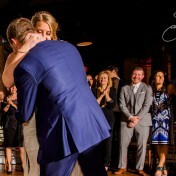 I was moved by the officiant’s wonderful presentation– she had a lot people in tears it seemed! 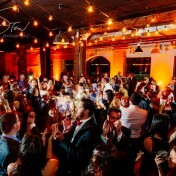 Afterwards guests enjoyed a foodie-friendly cocktail hour before making their way down one level to the reception space, which was decked out and looking incredible with candles and flowers and twinkling string lights over the dance floor. 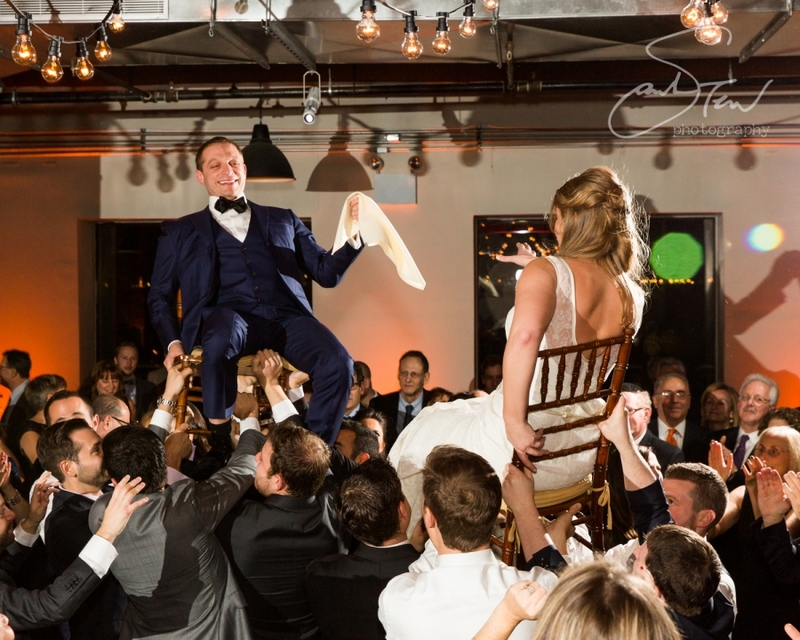 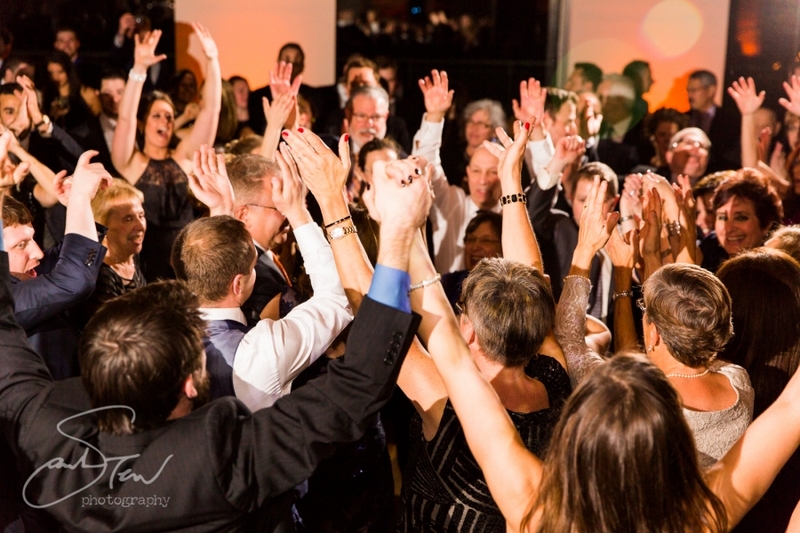 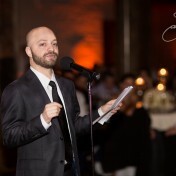 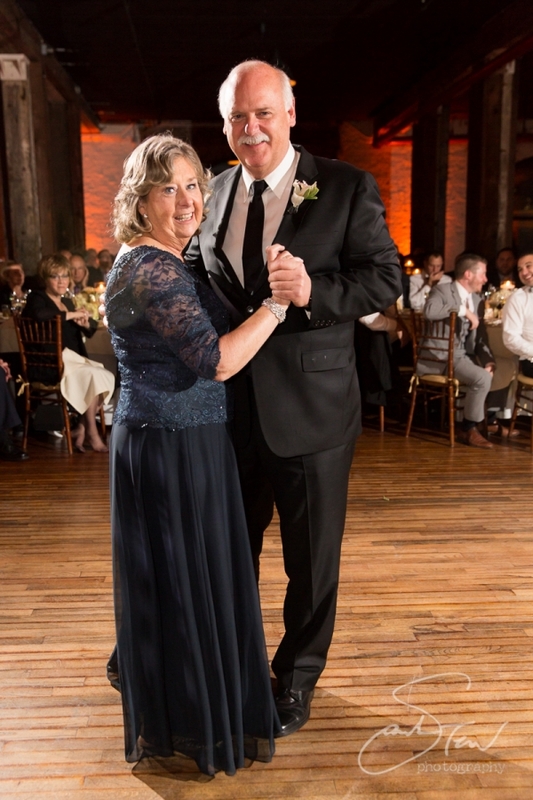 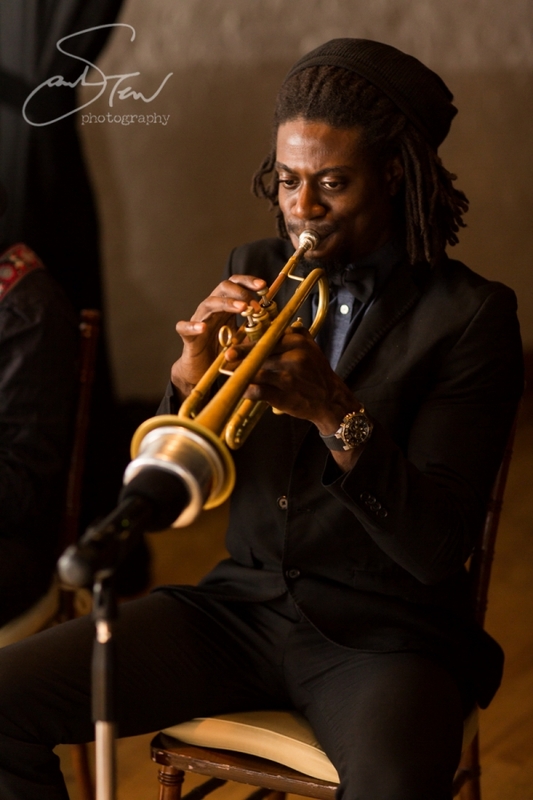 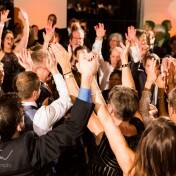 Highlights of the reception included some very sweet toasts, a special anniversary dance for the bride’s parents, and an incredible performance by 45 Riots! 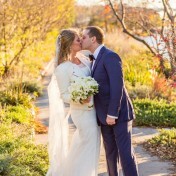 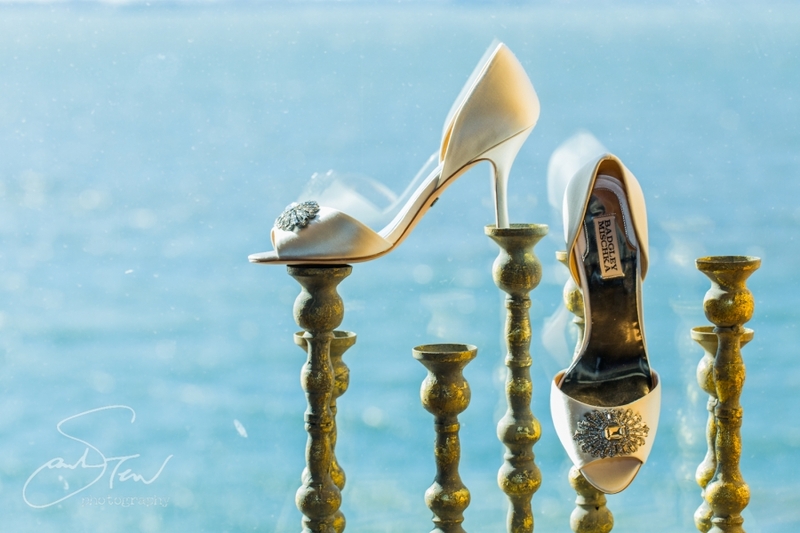 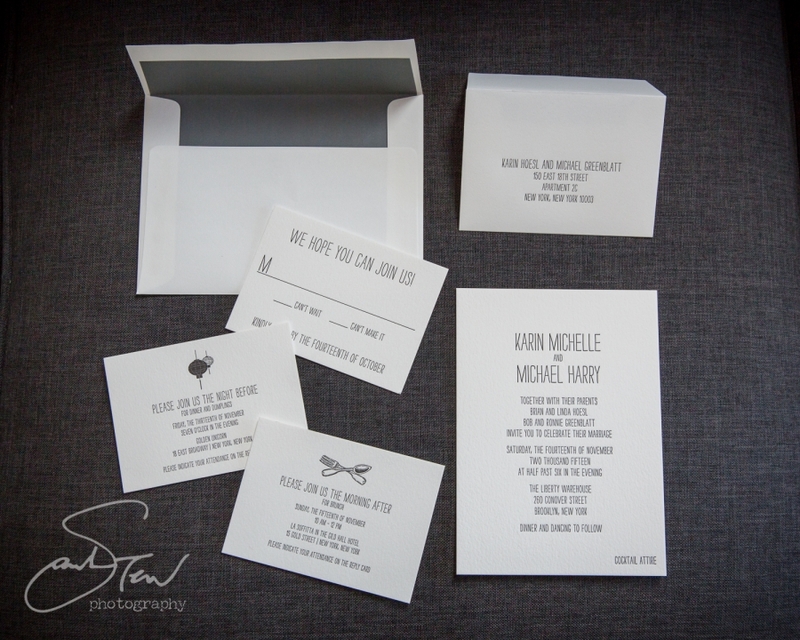 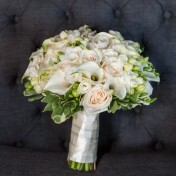 Congratulations to Karin & Michael!